Hello All, this is Dubray Tallman with “Dubi Meets the Fans of MMWA-SICW” The house was packed at East Carondelet, Saturday, December 11, 2010. 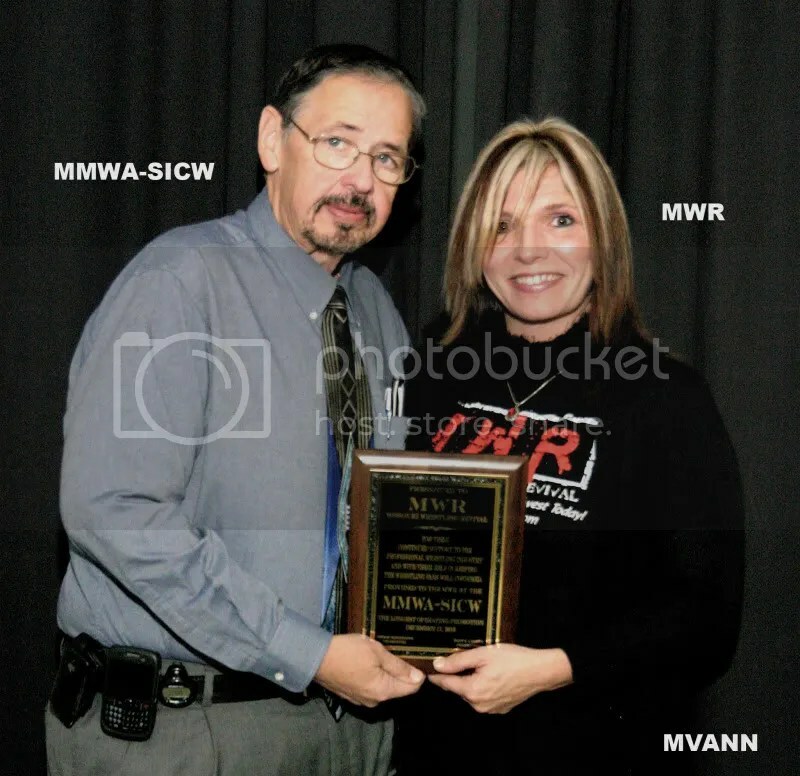 This was an important night for us as the fine people at MMWA-SICW was honoring the hard work that we do at MWR with a presentation in front of their fans and we finally caught up with Larry Matysik to present him with the 2009 MWR Lifetime Achievement Award . 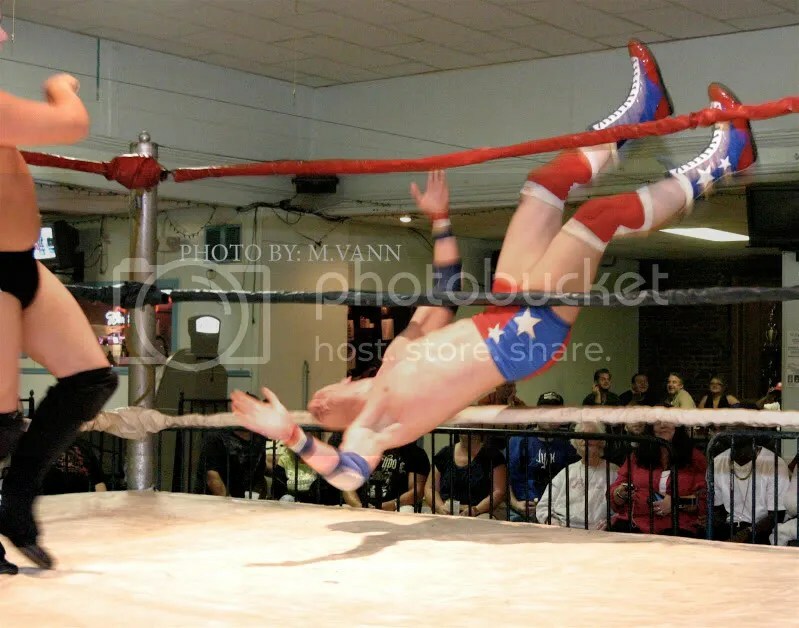 Also on this exciting night was the best of the best 2009 MWR Wrestler of the Year Mark Sterling going one on one against the one and only Mike Sydal. 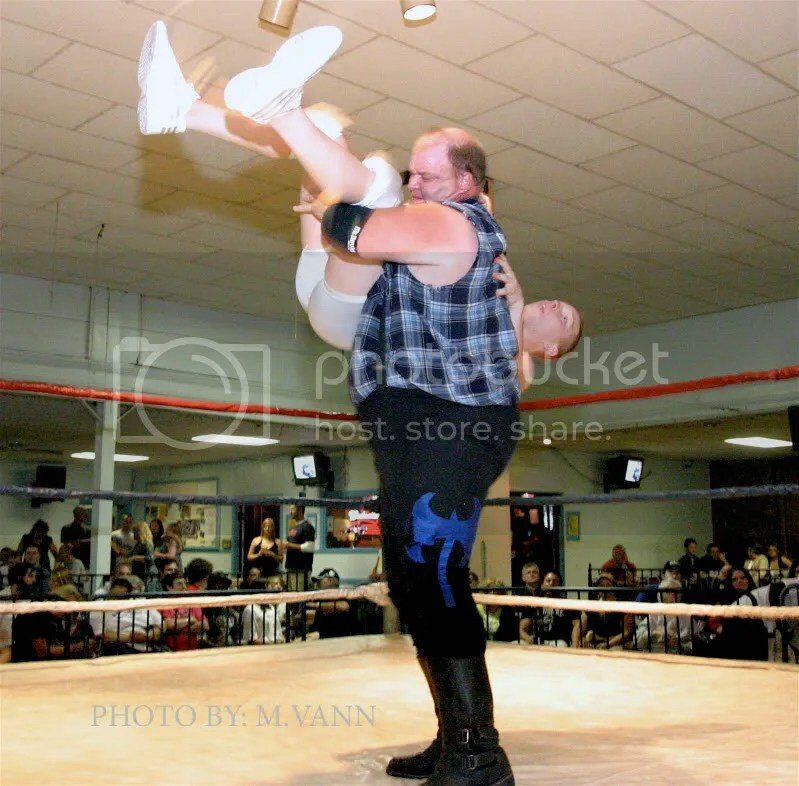 This night also featured two grudge matches starting off with a leather strap match showing the wrath of the powerhouse Ron Powers taking on the Big Texan with Gary Jackson as the special referee. 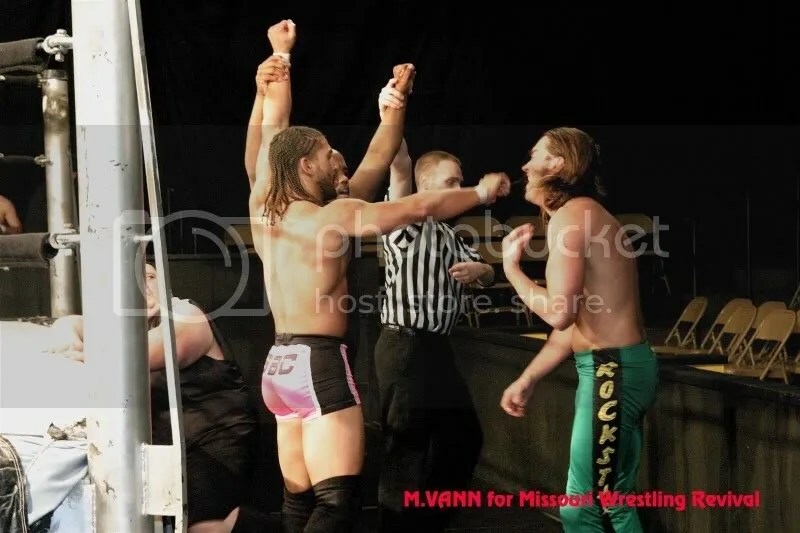 Bad blood and respect was on the line in a grueling 2 out of 3 falls match between the former MMWA-SICW Champion Dave Vaughn and Brandon Espinosa led by Vaughn’s ex manager Travis Cook. 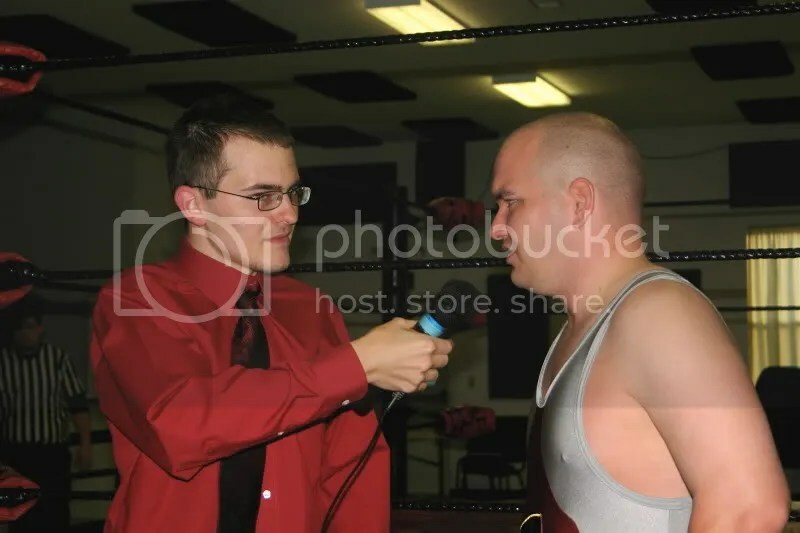 I won’t lie as I was nervous as could be heading to the show as this was the first time that I had been to a show without Brian, who was in Granite City, Illinois covering NWA Dynamo/High Voltage Wrestling. I was fortunate to be able to catch a ride with our good friend and MWR photographer Mike Van Hoogstraat and Larry Eddicott to the show. The nerves would soon be long gone as everyone at MMWA-SICW made me feel very welcomed as they prepared to bring the fans the best show they could to end the year. While they got ready to open the doors I caught up with some good friends along with Larry Matysik who are two great guys. 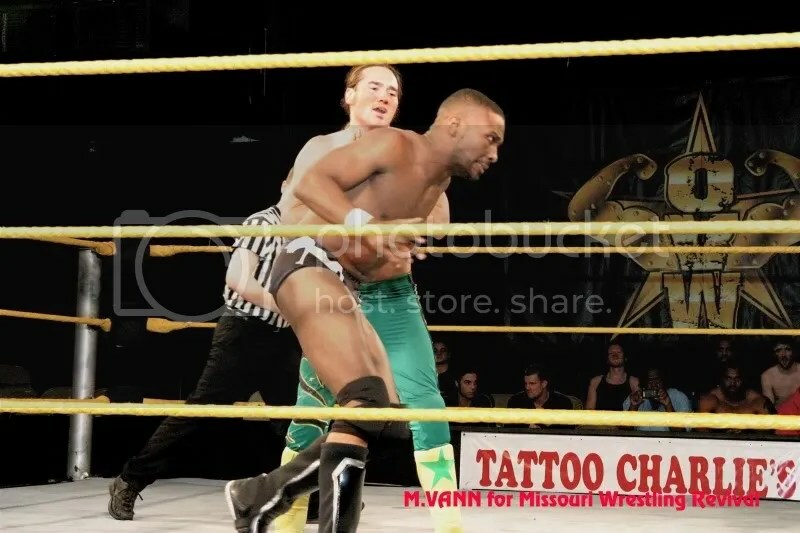 I had found the MWR Wrestler of the Night in MMWA-SICW fan favorite Danny Boy. 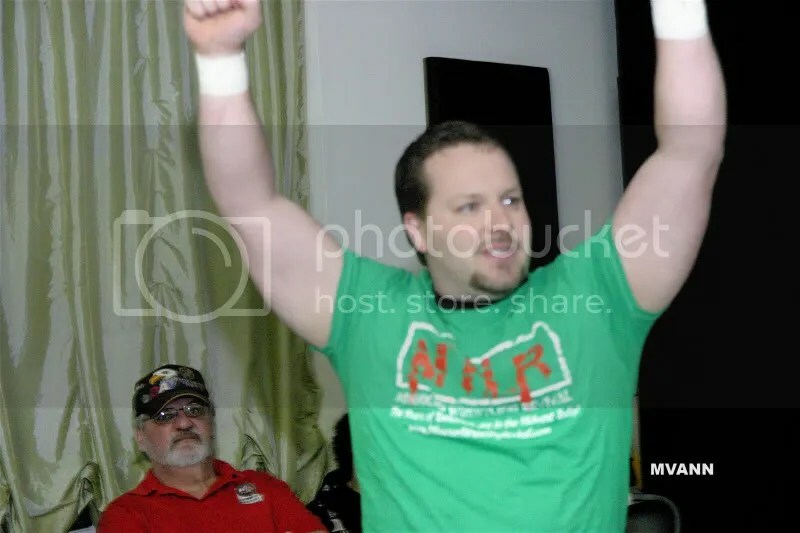 Danny Boy was able to wear the MWR Holiday green and red shirt to the ring prior to his match. Mission accomplished for the MWR wrestler of the night, I found my Santa hats that I was going to give everyone who sat in the front row. I decided to just give them to the children, and they seemed very happy about wearing them. I made the mistake of running out of the hats and one cute little girl was in tears. Being a mother of three myself I that hit at home and thankfully I was wearing my reindeer antlers and was able to make her happy by giving them to her but I made her promise me that she would wear them. Herb Simmons presented us with a great plaque from MMWA-SICW that Brian was thrilled about, and my speech to Larry Matysik went off without a glitch so I was feeling good and off to find some friends to be a part of Dubi Meets the Fans. The first set of fans I met were Devan and Dylan, from East Carondelet and this was the first time they had been to the matches. They were excited about seeing some girls wrestle, and asked for me to choose a wrestler for them. I chose young Chase King for them and King is shown here holding Dylan’s sister Jaelyn. Marla Bradshaw was super excited to get her picture with Ron Powers, she was all smiles and happy as a lark, she couldn’t wait to get her hands wrapped around this beast of a man. 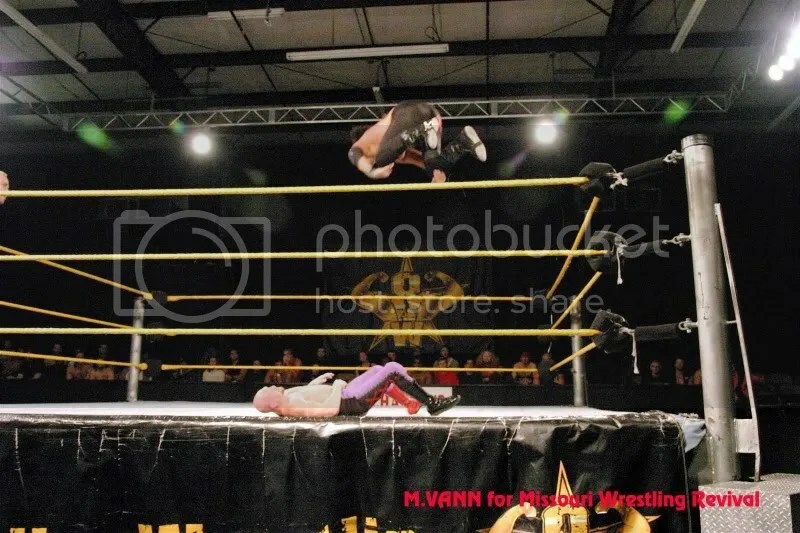 Marla’s son Cody also wanted to choose a wrestler, so he went with the young high flyer Ace Hawkins. Prior to Danny Boy’s match with Tony Raze, he threw out the shirt to Sarah Kinkade. 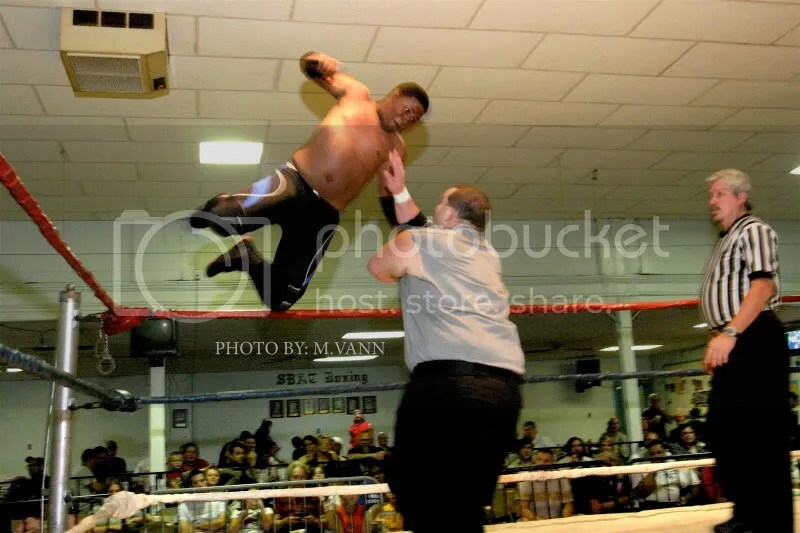 Danny Boy would go on to pick up a big win on the hated “Lockdown” Raze. Look for a full photo recap from Mike Van Hoogstraat in the near future at MWR, and I hope all the fans have had a great Christmas and a Happy New Year. Till next time, be good and I hope to see you at the shows in 2011. 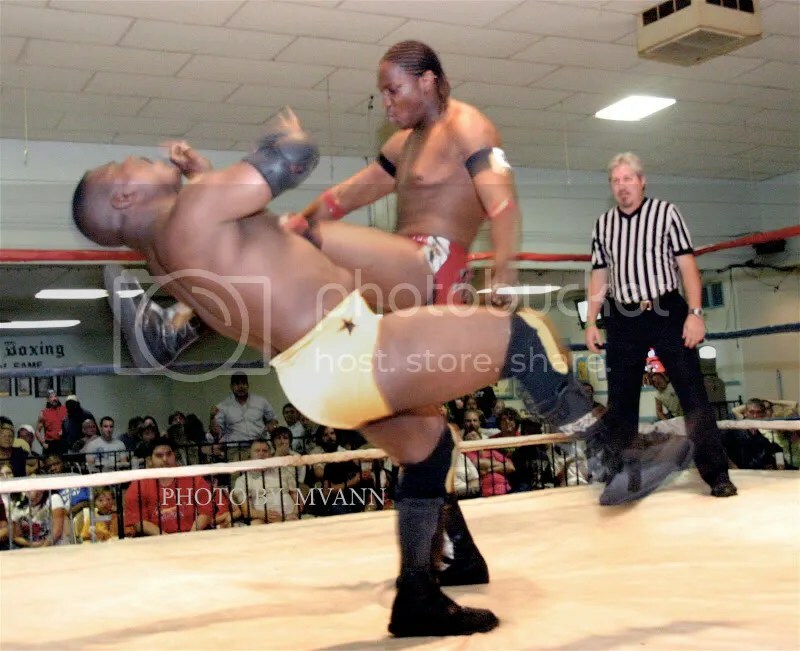 The world of wrestling is full of talented wrestlers that thrill fans each and every weekend around the country. With hopes and dreams to become household names, the chances are slim. Today with reality TV and the sport being so open for anyone from models to actors to get in the ring , there are many people that go out to become a wrestler. Some of them have the dedication and talent to excel in the sport while others get a moment in the spotlight that others should well receive. I am just one man but I feel very strongly that a wrestler that wants to make their dreams come true then they will have to stay active. 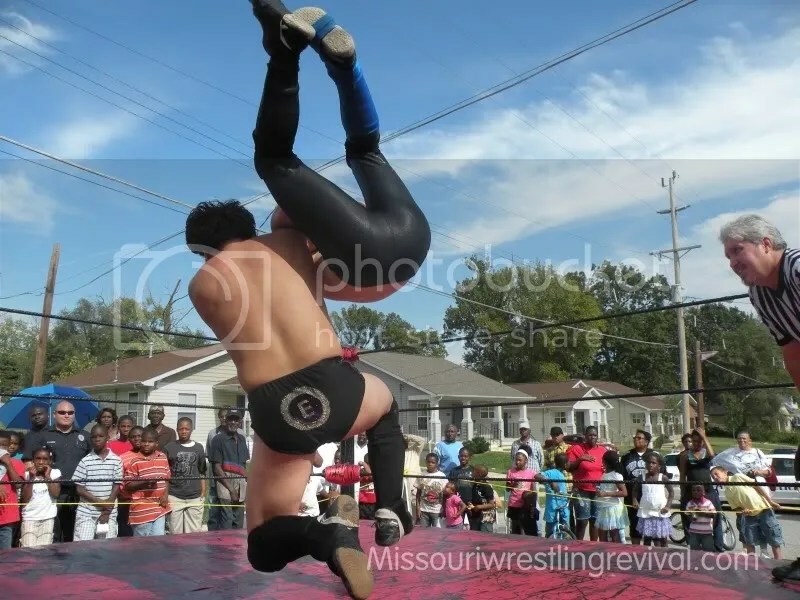 The first order is to find proper training from the best like Harley Race’s Wrestling Academy in Eldon Missouri. Then once you get “trained” a wrestler has to understand that WWE, TNA or ROH is not going to come find them, you have to make yourself known to them. Staying active, making sure you are at the gym, working on conditioning working shows, selling yourself at all times. It could take years and there will is sure to be disappointments along the way. The truth of the matter is that your dream of making it “ big” may never happen. 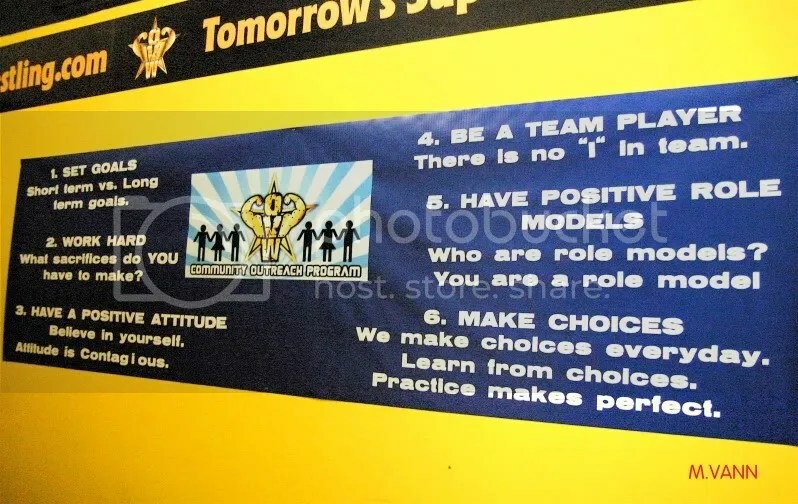 If you are an aspiring wrestler, I highly recommend you stay positive and always learning. Finding ways to get your name out there in a positive light and always be in shape, always be ready to steal the show. Recently my good friend and MWR photographer Mike Van Hoogstraat had the honored to be able cover Ohio Valleys’ tryout in Louisville Kentucky. The camp was filled with influential and some of the great minds in the business including OVW’S Danny Davis, Rip Rogers, Nick “Eugene” Dinsmore and none other than Jim Cornette and former WWE wrestler Mike Mondo who has recently made appearances this month with Ring of Honor. Some of the very best in the Midwest made their way from DES Moines , to Kansas City to ST Louis and in between took advantage of this two day camp. In attendance were the reigning MWR Wrestler of the Year Mark Sterling. 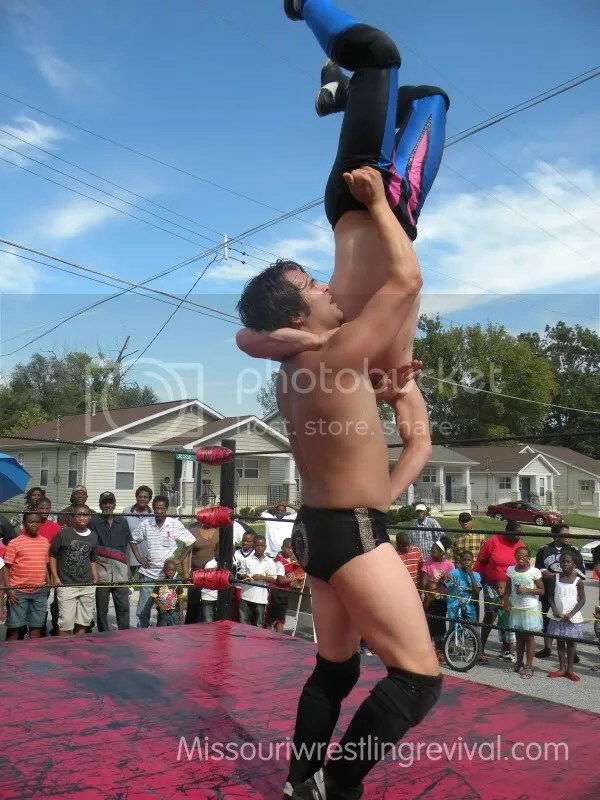 Sterling is currently a double champion holding the NWA Central States title as well as one half of the WLW Tag titles with “Superstar” Steve Fender. The hard work would pay off as fans around the world would be able to see him on ROH HDNET in matches with stars such as Tyler Black, Christopher Daniels and Kyle O’Reilly. Sir Bradley Charles is a man that everyone at MWR is all a buzz about. A great look, mixed with a desire to be the best. SBC trained at the Lance Storm Wrestling Training Academy. Since then SBC has already wrestled in Canada and Australia. 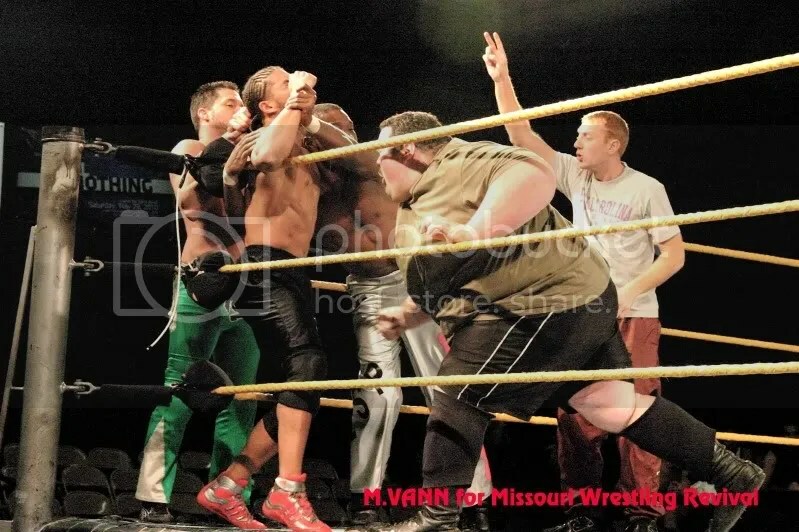 In Kansas City he has been earning a Kings welcome home at Metro Pro Wrestling. MWR Fans in the Midwest are familiar with the “Rockstar” Jimmy Rockwell. 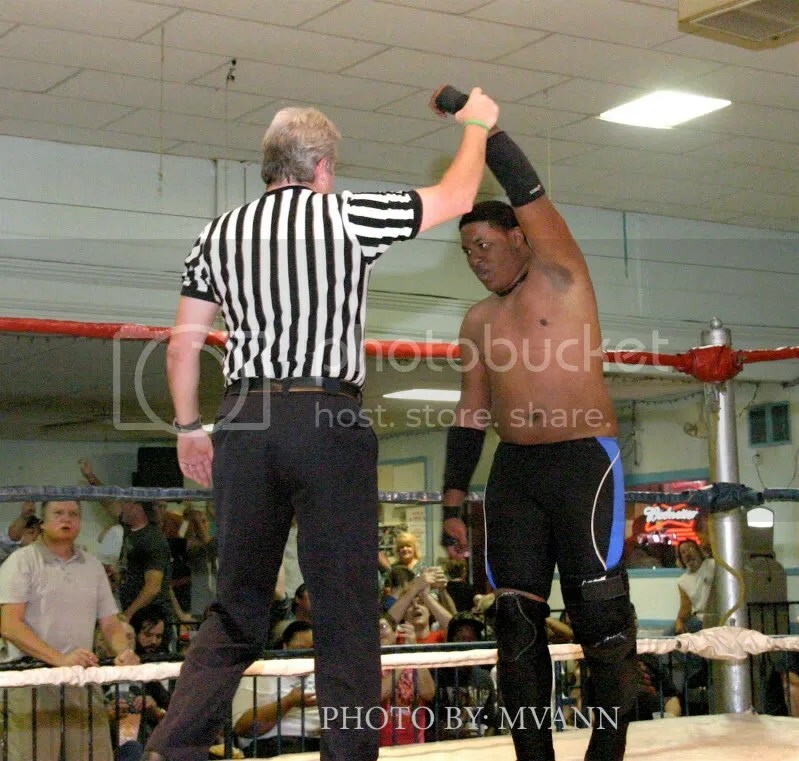 Rockwell has been a former 2 t-time 3XW Pure Champion as well as the current MECW Independent Champion. Dave Vaughn is a name that many fans know in St Louis. 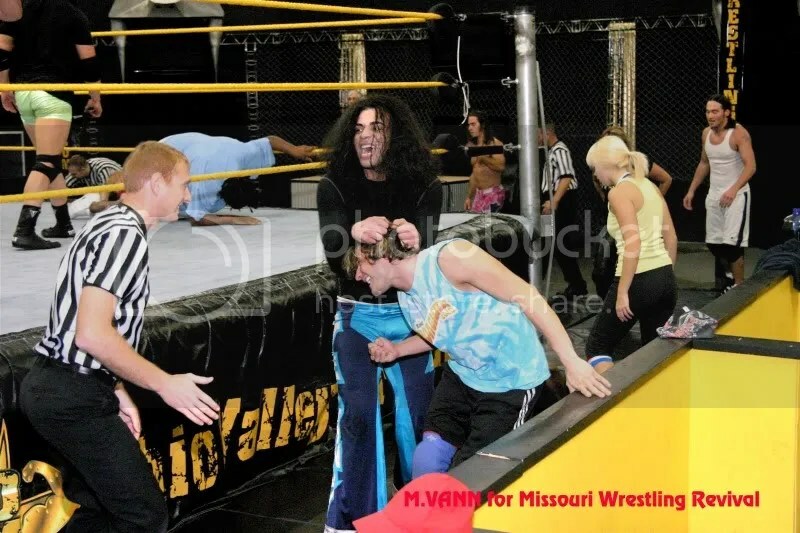 The wrestling machine took the skills learned from taking part in the WLW/Noah camp in 2009 to parlay that into his first MMWA-SICW Championship. 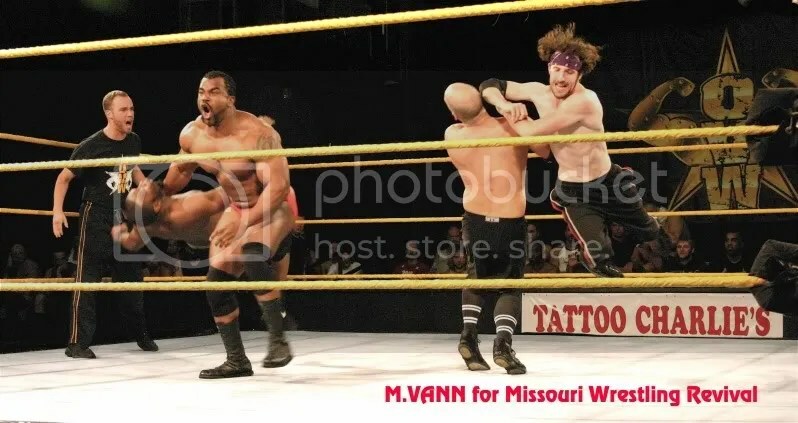 Vaughn was a dominate champion until being upset from “The Future” Donovan Ruddick with a little help from Brandon Espinosa and Travis Cook. 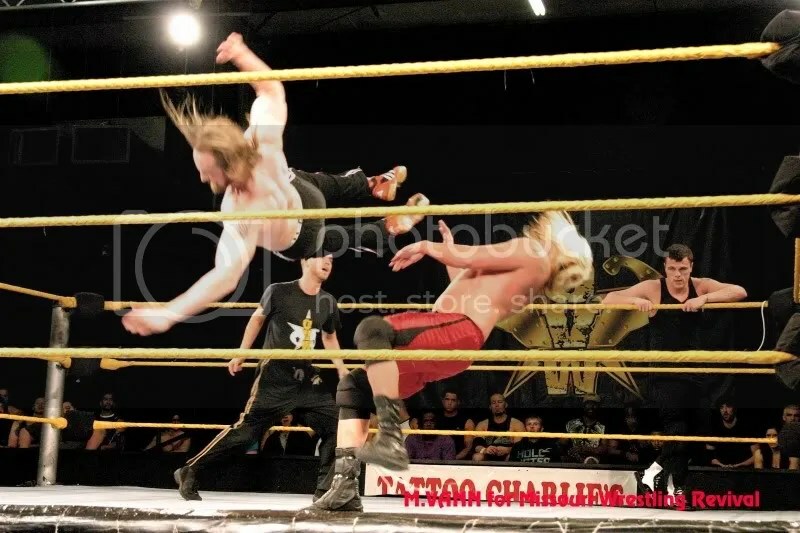 Zach Thompson has been a part of one of the most popular tag teams ever at 3XWrestling with Mike Sydal called the High Flyers. 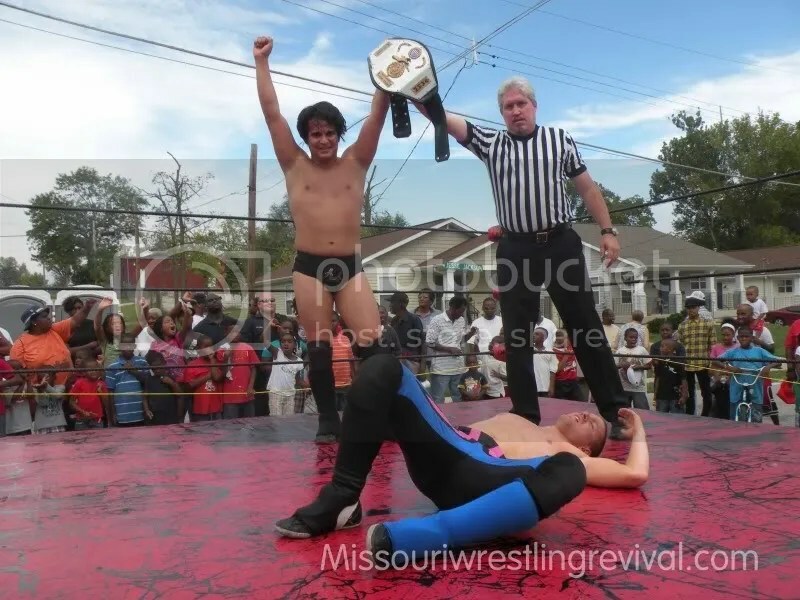 Thompson has also found success as a singles competitor at both 3XW being a Pure wrestling champion and a MECW Champion. 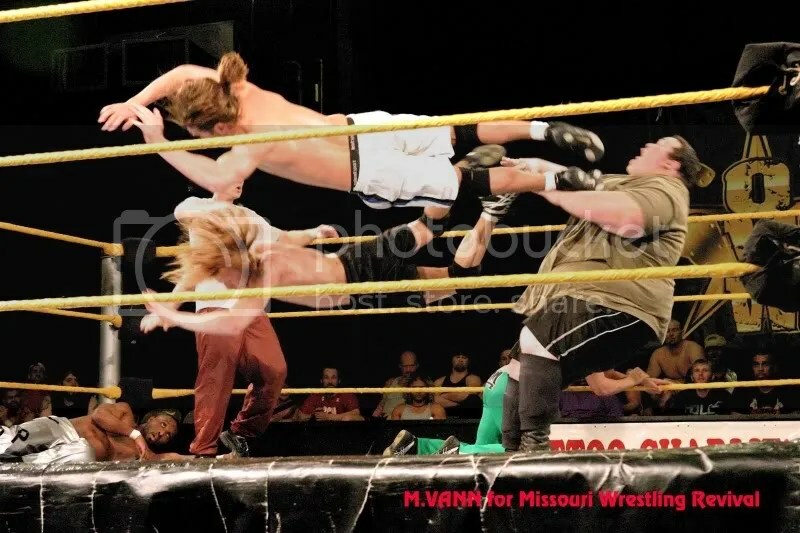 One of the most powerful men in the Midwest is “MEAN” Mason Beck. Beck stands a towering 6’5 and weighing 250 IBS. 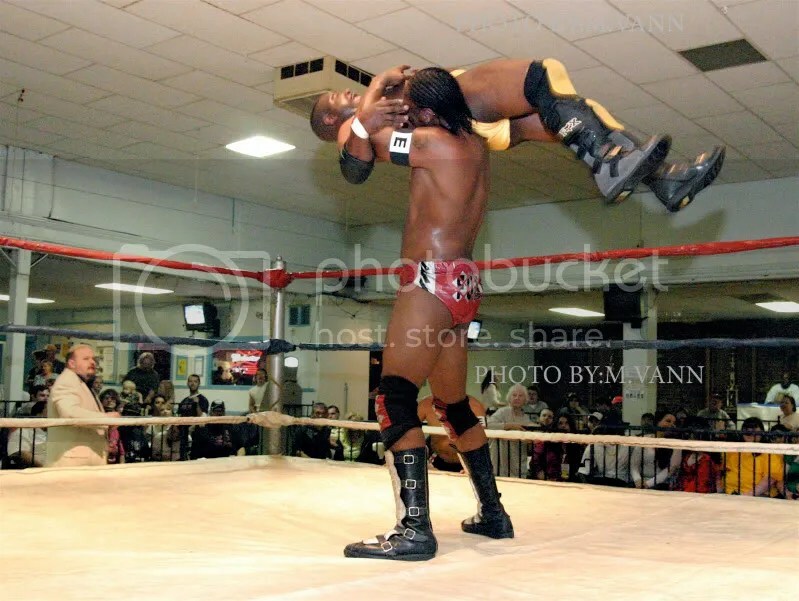 A powerful man with unlimited potential, he was last seen at PWE teaming up with “The Future” Donovan Ruddick with manager Mr. Late Nite to get a win against the PWE Champion The Mississippi Madman and former WWE’S Eugene. The purpose of speaking on each of these men’s accomplishments is to highlight the fact that everyone of them are not just resting of them. They are doing all they can to be the best in the not only the Midwest but the world. In this extended recap there are many students from around the country. At MWR, we do not each of the guys names that took part in the pictures but we hope they know that this post is a salute to them and their hard work. Last but not least we would like to thank Mike Van Hoogstraat for sharing this with us and Ohio Valley Wrestling for the opportunity to show you how the professionals become the stars that we know them. 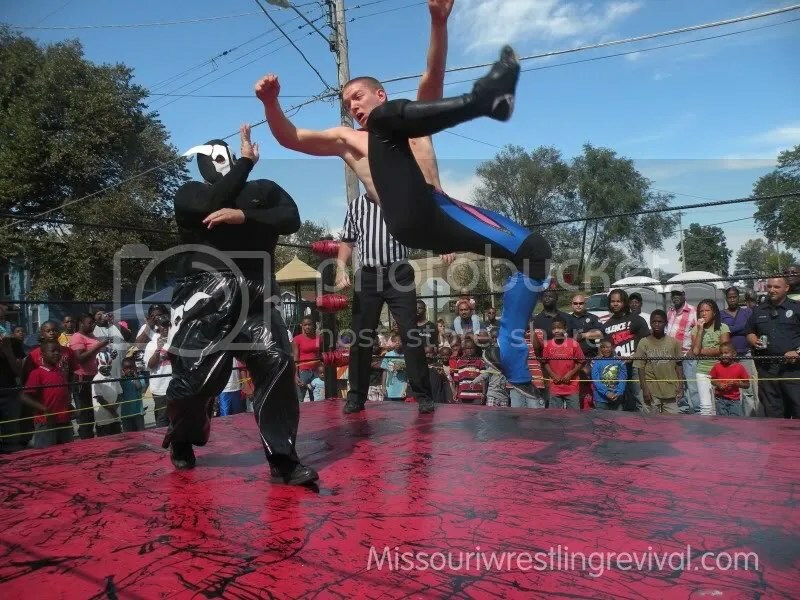 For more information on Ohio Valley Wrestling please click here. 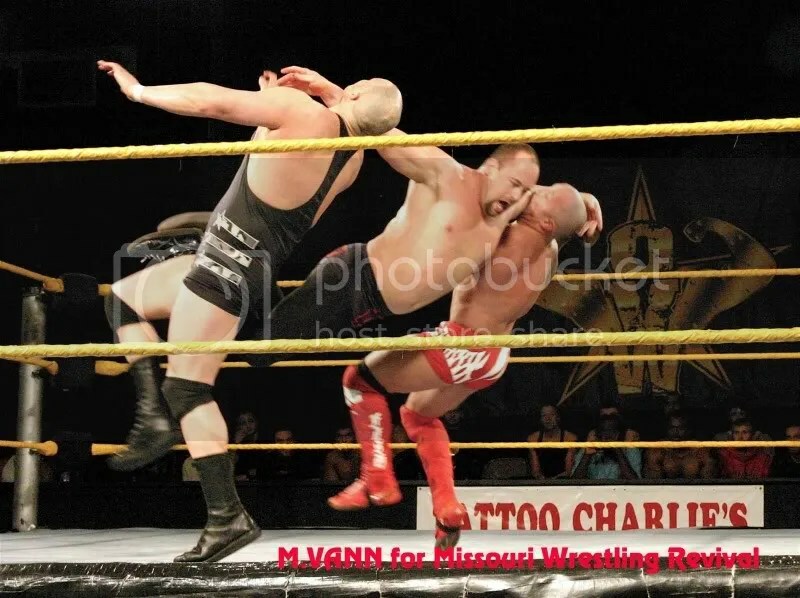 Wrestling fans in St Louis will have a lot to be excited for in 2011. 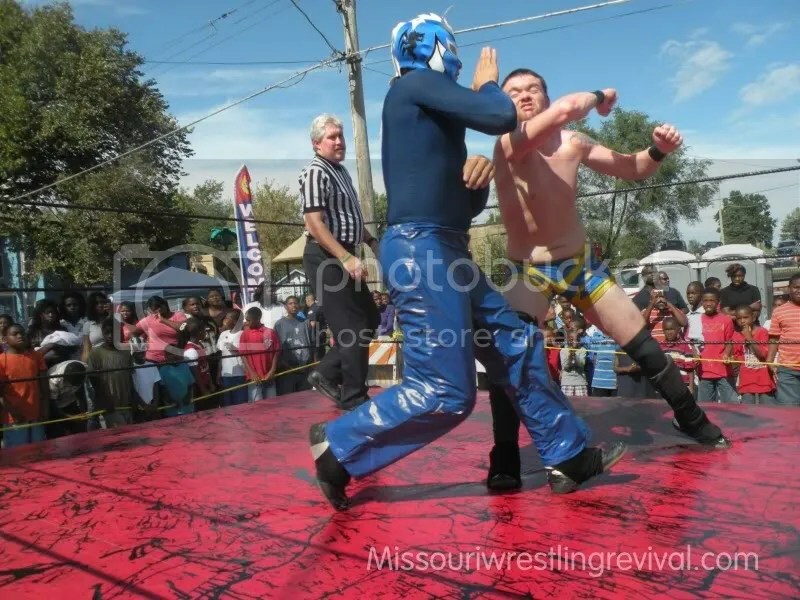 This past weekend at MMWA-SICW at East Carondelet, they were excited to announce that on January 22nd coming live from the Community Center they will be doing their very first TV Taping for Charter Cable Channel 8. 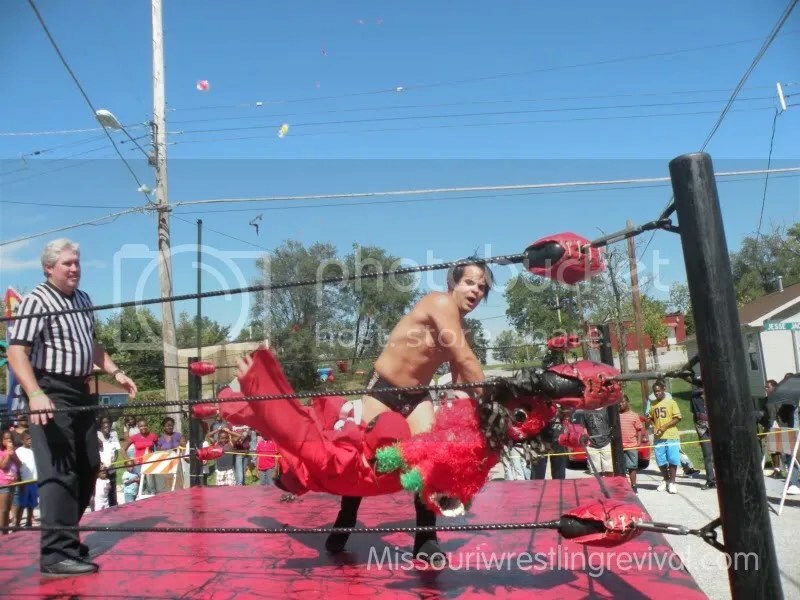 Sponsored from fine people at Mueller Furniture in Belleville Illinois and Schrieber Towing from Cahokia Illinois fans in St Louis will have a great opportunity to catch the wrestling action from the 2009 MWR Promotion of Year, MMWA-SICW. 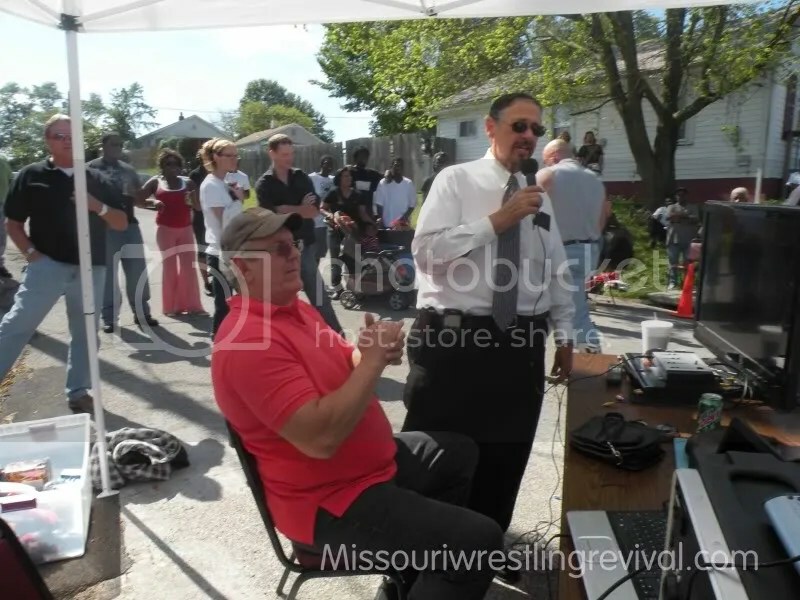 Wrestling fans of the past will be excited to hear the voice of St Louis’s Wrestling at the Chase Mr Larry Matysik will once again be the man behind the mic calling play by play for this must see show. That’s right, Matysik a long time friend of Promoters Tony Casta and Herb Simmons will be worth the time alone to tune in. The SICW will be crowing its first Champion as the first CWC (CLASSIC WRESTLING CHAMPION). To determine the new champion an 8 man tournament has been announced to be held on January 22nd. Those competing in the tournament are as follows, Brandon Espinosa, “The big Texan” Dave Vaughn, Chris Hargas, Waco, Gary Jackson, Danny Boy, and Ron Powers. Each of these wrestlers have earned the right to be in this huge attraction on January 22nd. Make your plans now to be at the East Carondelet Community Center on Saturday January 22nd for the first television taping for Charter cable 8 and welcome Larry Matysik back to the air waves as he calls the play by play. The first show will air on Sunday February 6, 2011 at 11:30 am and then rebroadcast on Sunday evening at 10:30pm on Charter Cable channel 8. Thanks to the Crimefighter of the St. Louis Wrestling Community we have Herb Simmons Announcement of this exciting events to take place. Look for more exciting information coming to you about MMWA-SICW in the upcoming month. This and much more at MWR. 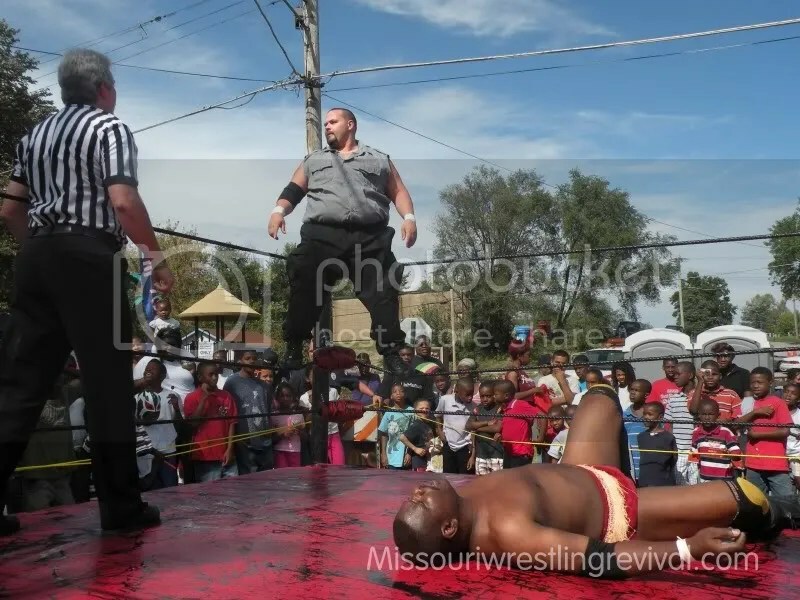 This weekend MMWA-SICW crowned a new Champion as Donovan Ruddick led by Travis Cook defeated Dave Vaughn. Thanks to MWR Photographer Mike Van Hoogstraat we have a quick look at this monumental happening and much more. 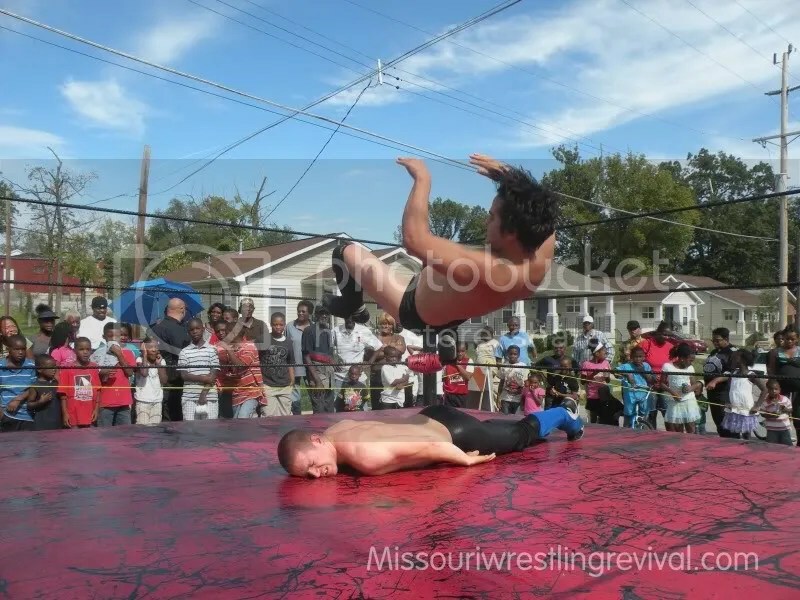 On September 25th I had the opportunity for a double shot of wrestling action. 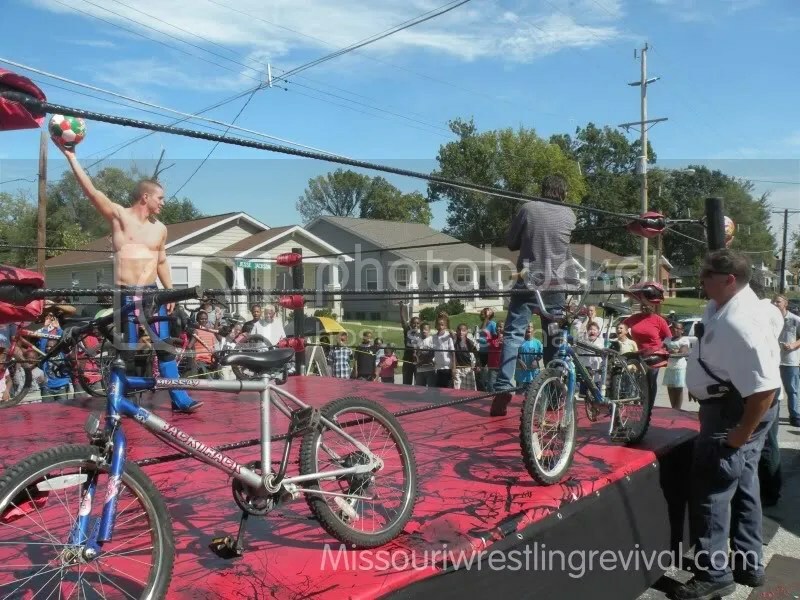 First off I made my way to Hillsdale Missouri for a FREE MMWA-SICW show sponsored by the Hillsdale Police department. 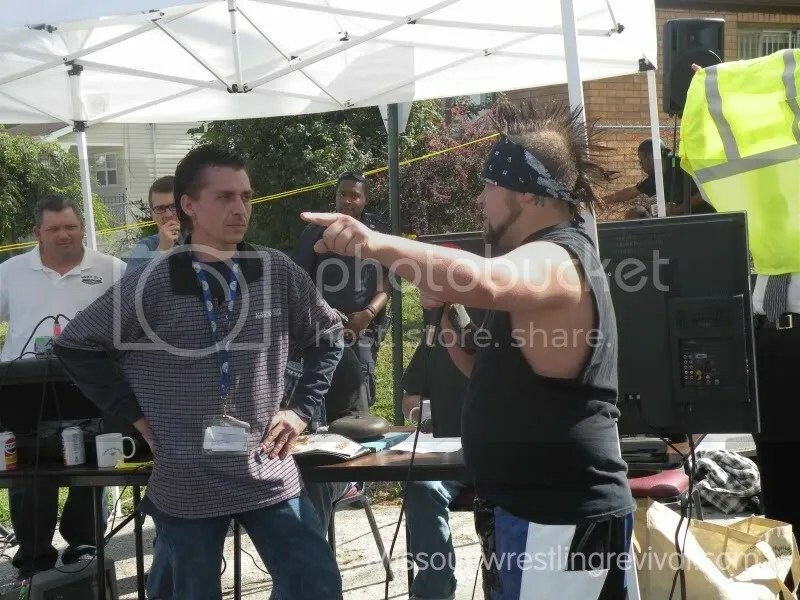 A beautiful day that saw the community along with the Mayor of Hillsdale come out to check out wrestling action, during the day I spoke to many of the fans who told me this was the very first time they had a chance to see pro wrestling live. Also in attendance was our friend Patrick Brandmeyer who got the chance to join Herb Simmons at the commentator table. 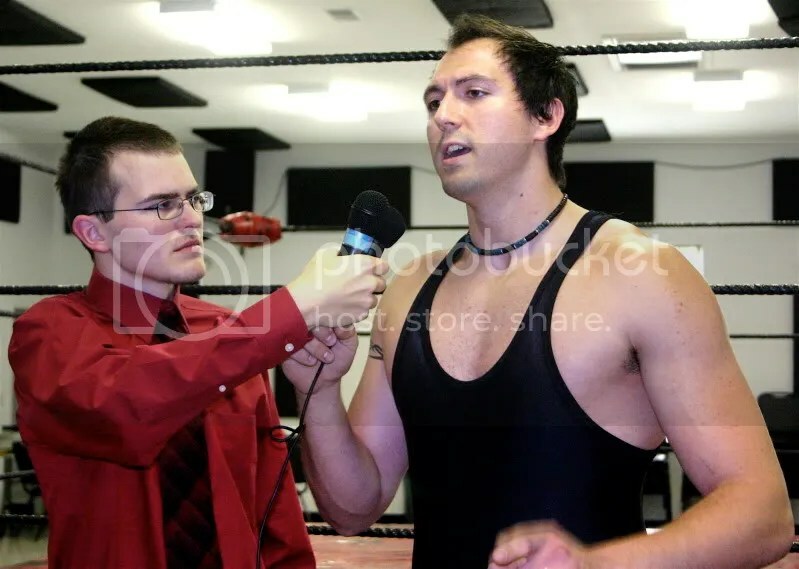 Recently we advertised the MMWA-SICW open door tryout and I was able to meet for the very first time Ben Simon who impressed the management so much that he earned the Announcing job for a company that he grew up watching. The fans also had the chance to see a true wrestling legend in person as Cowboy Bob Orton was in attendance. 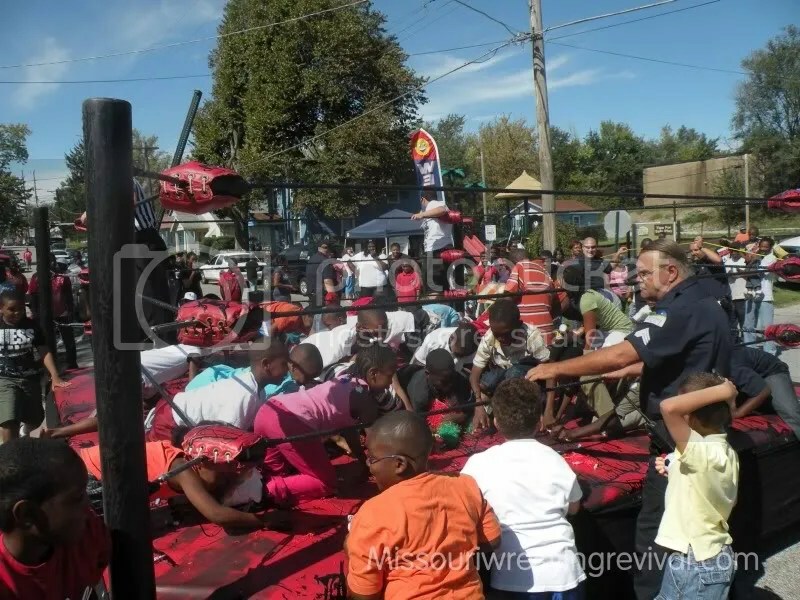 The day saw some great wrestling action, plus MMWA-SICW and the Hillsdale Police Department gave away free concessions, plus gift bags, soccer balls and bicycles throughout the day. I am going to share with you a few pictures of the days events and after the last one click onto my photobucket for a complete look at all them. 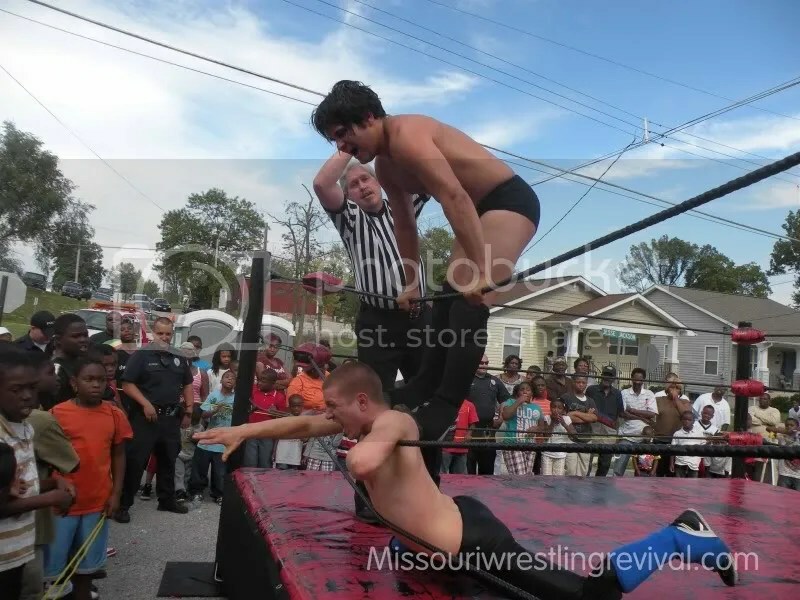 MMWA-SICW returned to Fairmont Illinois later that night for a great show that my good friend Mike Van Hoogstraat was able to capture so please check back for MWR in the future for this and all your MMWA-SICW news. 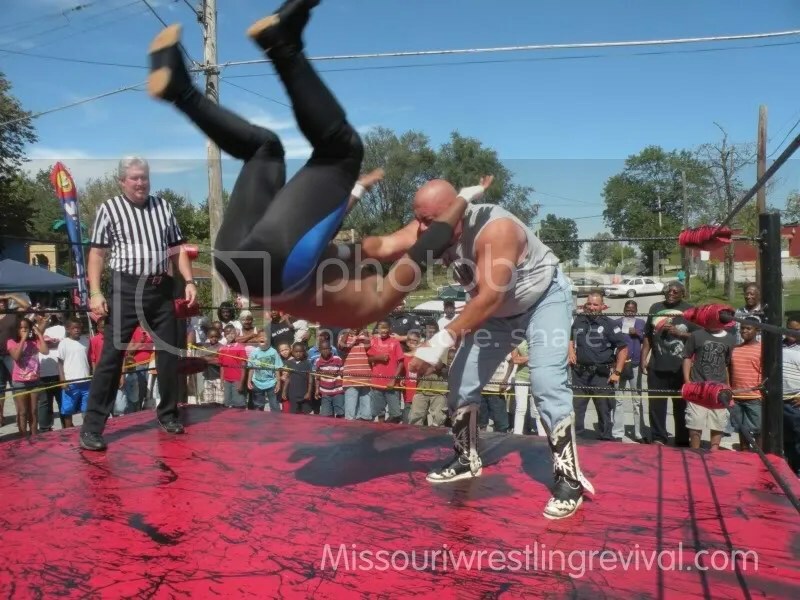 Click here to see all the great pictures from MMWA-SICW in Hillsdale Missouri. MMWA-SICW Returns this Saturday at the South Broadway Athletic Club. 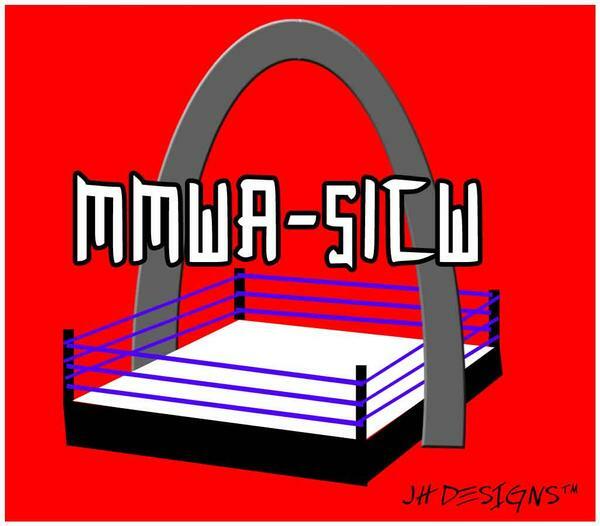 MMWA-SICW returns to action this weekend at the SBA. Do not miss it. Helloooo wrestling fans as the great Bill Kersten would say. 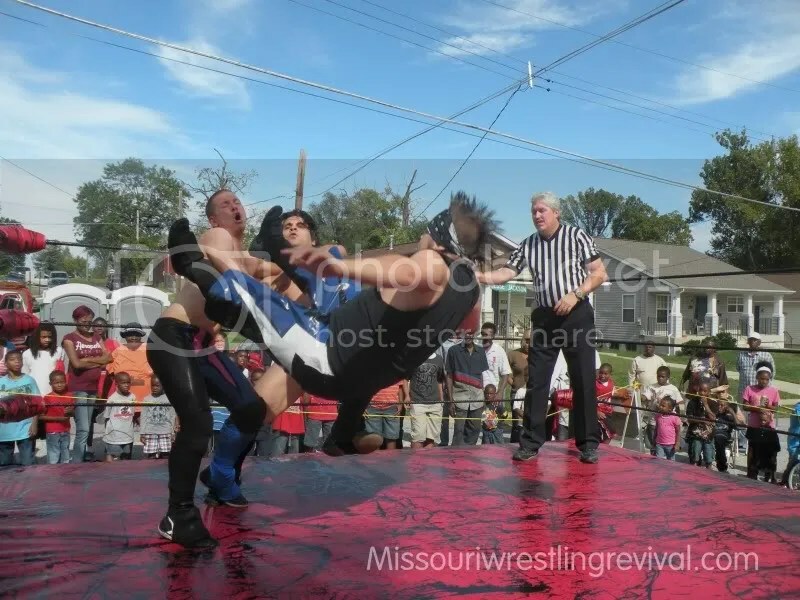 I am thrilled that today we are celebrating our 1,000 post here at Missouri Wrestling Revival. Throughout the past two and half years you have been able to come to MWR site to check out upcoming shows, interviews and stories of the top stars of not only the Midwest but around the world. 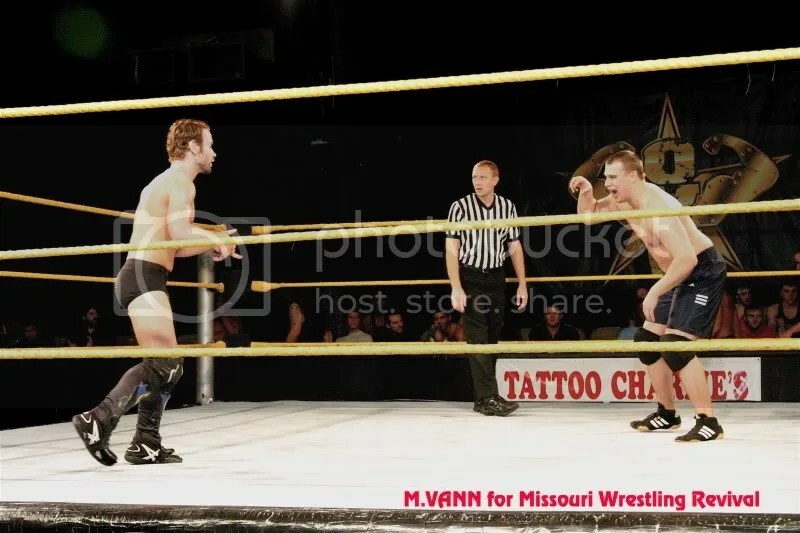 MWR started out simple enough from one of my best friends Josh Ray who had the dream to bring attention to wrestling in the Midwest. He worked hard to get the site going and along with myself and Kari Williams the site was off and running. Thankfully we had a good friend Peter Hahn whos sister Rachel, is a wonderful graphic artist that came up with the logo that has became the face of MWR. I have been so busy getting ready for school, preparing for my sons school year and other projects that I have yet to unveil some great new logo’s from our good friends at Awesome bomb radio so no time is better than the start of a new thousand. Adult MWR fans take a chance to check out the Awesome Bomb Radio for some wild and crazy interviews with some of the top wrestlers in the game today. Everyone at MWR has worked hard to be respectful and polite to each promotion, wrestler and fans that we have gone across. I have a strong belief that to be successful that no one can do it alone. In the history of MWR there have been some wonderful supporters of the site that is vital to MWR’S place in wrestling today. I am going to attempt to thank everyone that has made MWR possible. 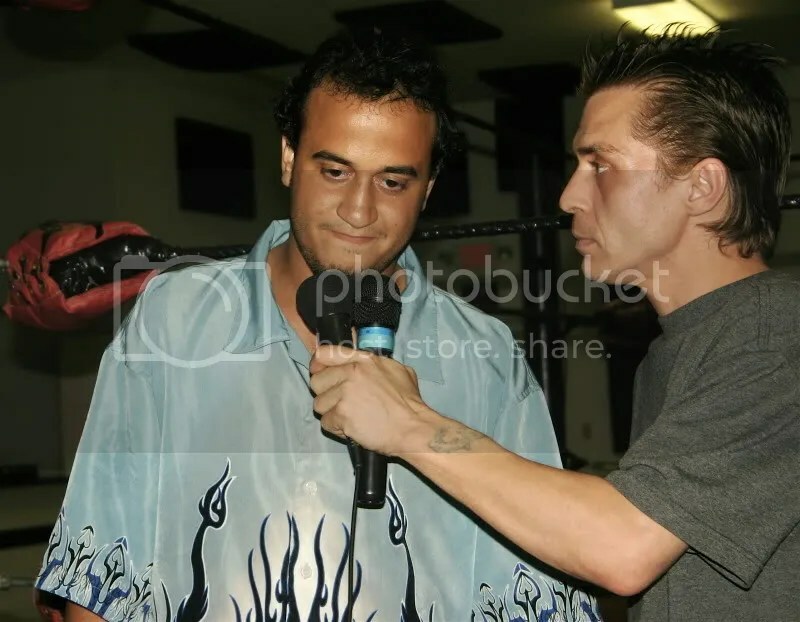 At every promotion we have worked with there has been not only promoter, wrestlers but also referees, ring announcer, security, video crew and fans that I have nothing but love and respect for. Several have become close friends, while others I have not seen in a long time, though time has past by and we may have not seen each other this post is still for you. 1) The Fans: I hope that you have found MWR a place that you come to enjoy. You are the most important piece to the puzzle to making a show a success. At times we are very busy at a show but I want you to know that I thank you for clicking on the site and we are always excited to get to meet you. Your support for the hard working men and women of the sport keeps the hope alive for pro wrestlers to live their dream. If you have not checked out a local show near you I urge you to check out a promotion soon. We have made many Friends thanks to the MWR site. Drew and Gary are two great guys that I met at local shows, they knew us from the work we do thanks to MWR. During the Wrestling Legends on tour the three of us got to pose with some of the top wrestling stars ever in the sport. These are just two of the many fans that we are proud to call our friends. 2) The Promoters: These guys are judged, hated and sometimes forgotten. It takes a special person to risk there money and spend their time to run a show. The cold hard fact is that it is a LOT of work to be one and at times luck to be successful in this profession. Without them doing the ground work a show never gets off the ground. They have opened their doors to us and I hope they know we have been honored to try our best to get the word out about the dates of their show. 3) The Wrestlers, managers and referees: Call it a sport or call it entertainment, one can not deny that it takes true talent to make a show a success..
During the years I have been all around the Midwest checking out shows in the big cities and the small towns and I can say that I have no doubt that there is no athletes that cares more for their fans that the wrestlers. We have been at a few shows that have had less than 30 people, that did not stop the wrestlers from going out there and giving it their all, then took the time to come meet the fans. I watched time and time where they have took that extra moment to talk, pose for pictures and sign autographs to the kids of all ages and thanking them for their hard earn money to watch them do what they love. 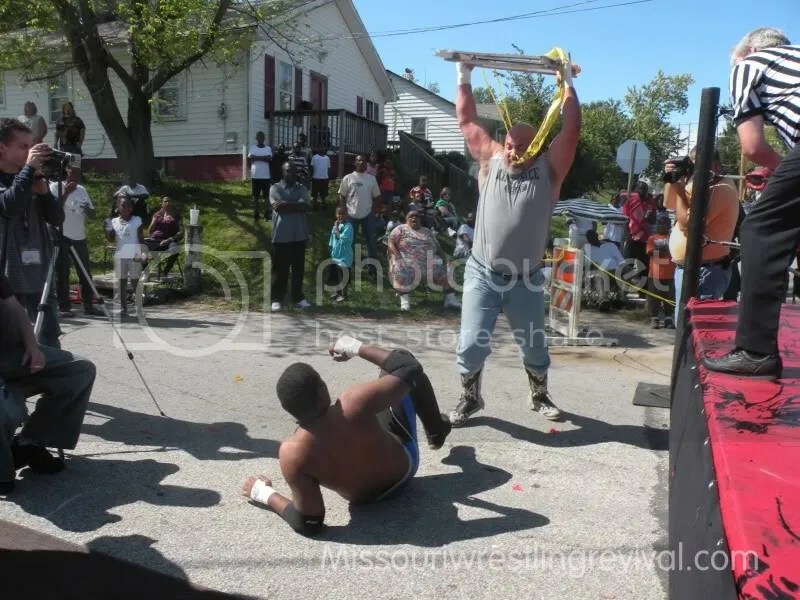 There have been many shows where the wrestlers have donated their time and skills with no pay to support a fundraiser for a local family or school. 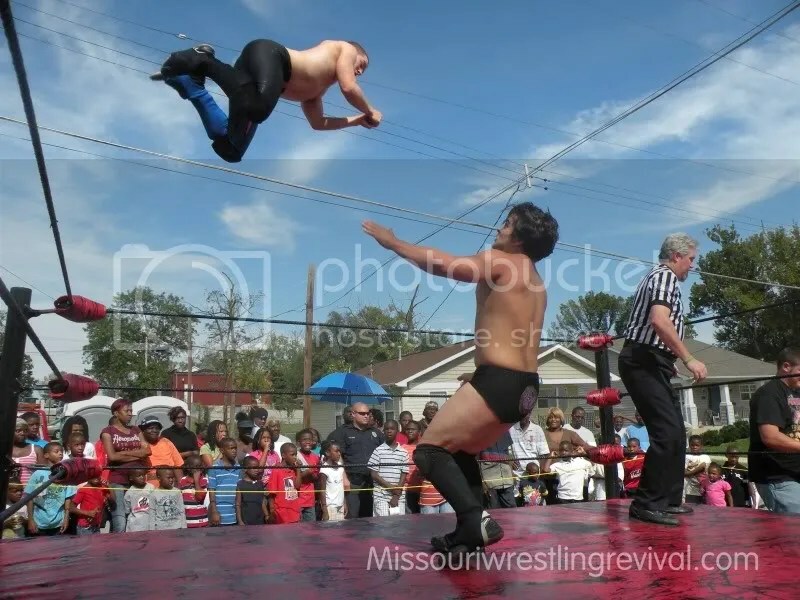 No matter what state we are in, or the three letters of the promotions every wrestles have the same goal and that is to entertain you with the best of their abilities. 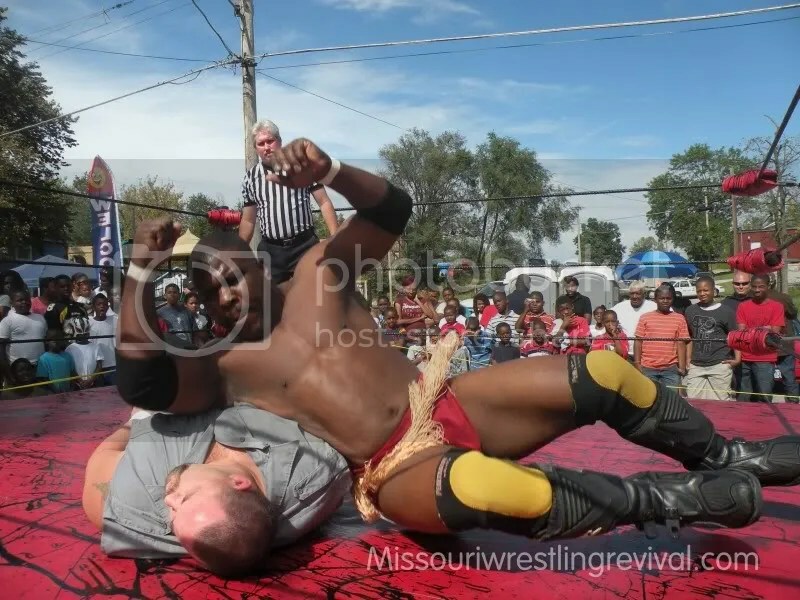 This past weekend I was in Lincoln Illinois for the Arts and Balloon Festival where the a huge crowd witness some exciting wrestling action. 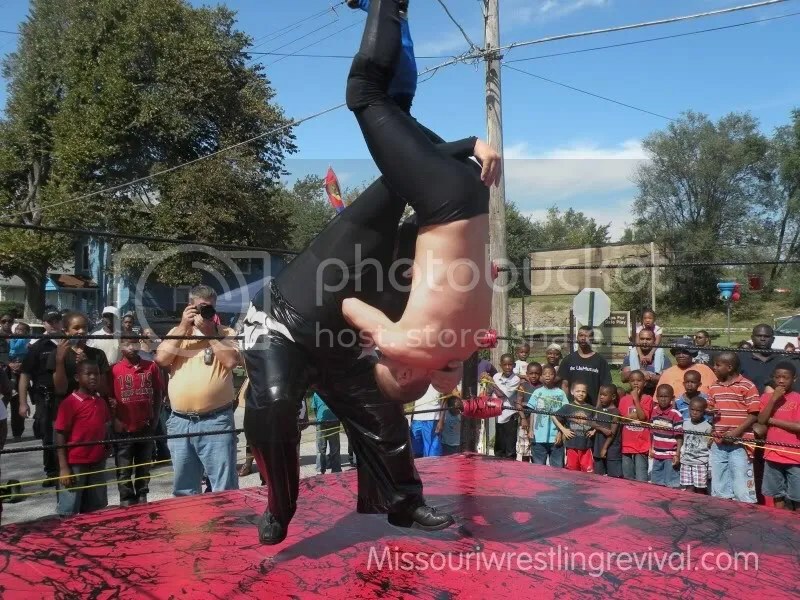 One of the many talented wrestlers in the Midwest today, Knight Wagner asked if he could do a promo commemorating the moment that so many fans had a chance to see what wrestling was like in our area. I was honored by the kind words that he said in the promo for our website in hopes that you the fans will check us out to find out where you can see the next wrestling show in your area. I want to share with you the words of Knight Wagner. To be honest there have been many such compliments given to the MWR family from many many wrestlers that understand that this site is built for the fans, the promoters and wrestlers themselves. 4) Dubray Tallman: The old saying is behind every successful man is a good women. Thankfully I have Dubray to help support me while we drive the six hours roundtrip for many shows. There is no group of friends that live close enough that we can ride with to make the trip faster or cheaper. In less than a year and half we have made over eighty shows in Missouri, Kansas, Iowa and Illinois. At times the site takes away from what we can do elsewhere or together as it takes time to write and edit everything. Prior to the show Dubray works on one of the most popular articles that we have Dubi meets the fans. Often Dubi Meets the Fans is the among the top post for weeks on end . Dubray I love you. 6) Kari Williams: MWR’S number one writer, you have read Kari’s articles from the inception of the site. Young and talented there is no doubt that you will find Kari’s work in a much bigger forum one day. Dubray and I always are thrilled to see Kari and her mother Joan. 7) Matt Murphy: Matt is one of the most underrated wrestling minds today. He has always been willing to give his advice and assistance for the site. In fact I didn’t take his advice early on and paid for it. Lesson learned, listen to Matt Murphy. Seriously Matt was kind enough to have his book showcased here at MWR in a weekly article that many MWR fans loved. If you missed it, there is a link at the top of the page that you can go to do catch up. MWR fans if you have read this article or book PLEASE take the time to review it on Amazon.com here. 8) Greg Anthony – Anthony brings to the site, a fan that is talented enough to excel in the sport today as a wrestler. I am never bored and often surprised to what he has to say in the MWR favorite the Golden Circle. As with Murphy if you have missed any of his articles I urge you take a look at the top of the page and enjoy. 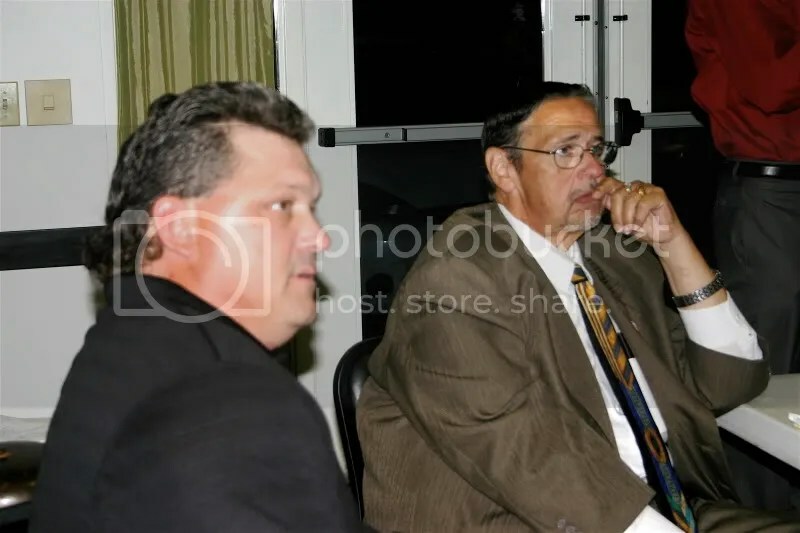 9) Patrick Brandmeyer– As much as I love local professional wrestling, the truth is at times it can be nearly impossible to find out information on the past as well as the current history of the business. 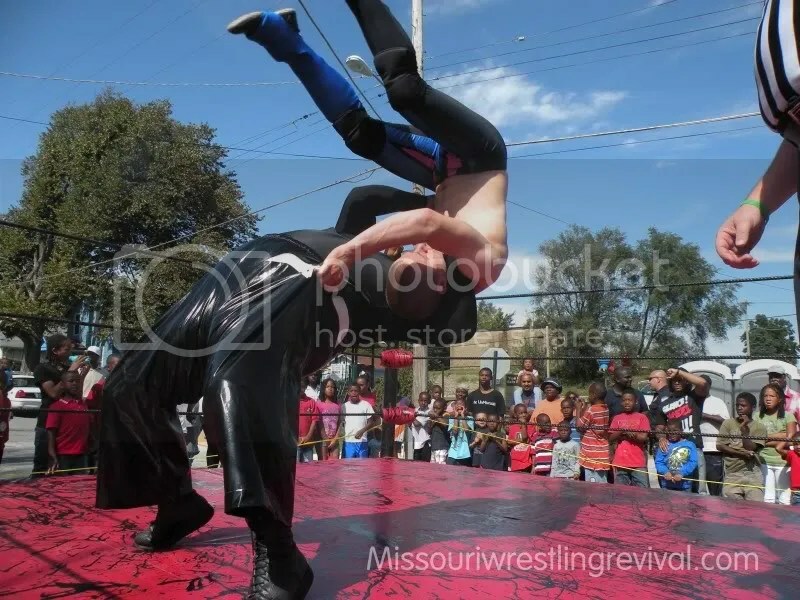 I often look to my good friend Patrick Brandmeyer for the what, how and why in the St Louis wrestling market and beyond. If a promotion wants a good source of advertisement then most defiantly contact Brandmeyer to make his way to your show. 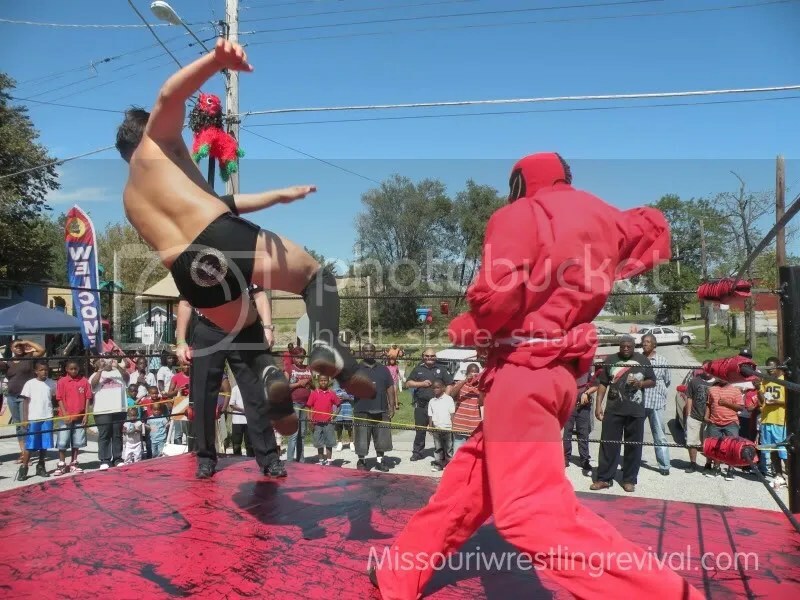 10) ST Louis Wrestling Community and the Nose Bleed seats- Many people think that the man known as the Crimefighter and his website the ST Louis Wrestling Community are a competitor of the MWR website. The truth is that I have always enjoyed working with Crimfighter and his colleagues from the Nose Bleed Seats Chris Lee and MOAV5706. I often use the site and their advice for articles that you read here. They have had some great podcast and they are the number one source for all your wrestling in Central Illinois. Check them out here. 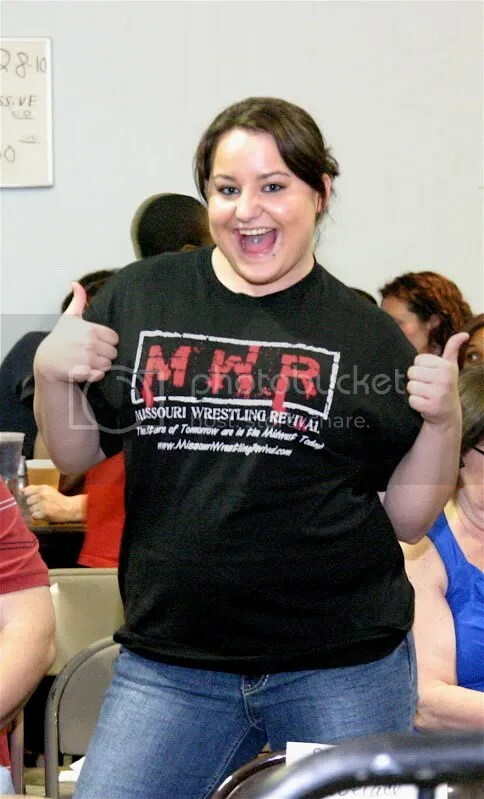 11) MWR T-shirts– Nothing brings a smile to my face than seeing a fan or wrestler wear a MWR Shirt. In the four states that we cover we have given away or sold 100’s of our shirts to wonderful people such as yourself. We started out with free drawings during intermission to a lucky fan. 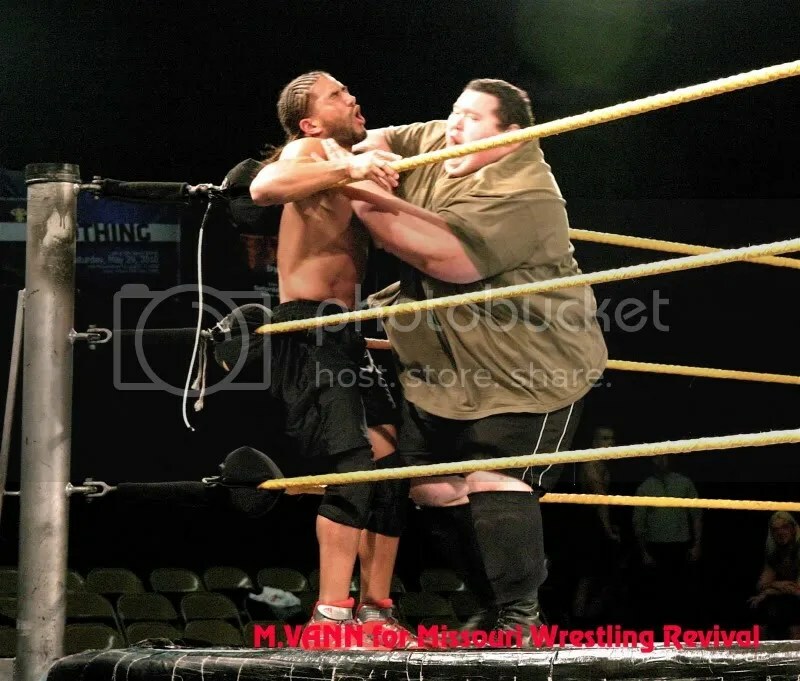 Then one day at PWP I was taken photos when Murder Militia’s #1 Brett Young came to the ring wearing an MWR shirt . That kicked a light bulb in my head, why don’t we have a wrestler wear to ring and unlike the greedy Young who kept his shirt, we have them throw it to a lucky fan. This promotion has been more than a success and I would like to thank all the wrestlers who have worn the shirt in the past in this promotion. The fans I feel have had a lot of fun in catching them . Most recently one fan told me that her daughter was so impressed with catching the t-shirt and having her picture taken with the wrestler(Jimmy Karryt) that she has that picture of her and him as the background picture on their computer. You can not purchase moments as special as that. Words can not describe how important my friend Nick Ridenour has been this year in working with us to have quality and affordable t-shirts with the small budget we have. 12) MWR Top Draws – A very popular feature at MWR is the art work from MWR’S Dartallion Allen JR. Allen brings to life your favorite stars in a cartoon style. Mwr fans look in the very near future a chance to vote for who you think Allen Jr should draw in the MWR Classic Wrestler Top Draw. Till then take the time to click above to see one of Midwest brightest artist today. 13) MWR Trading Cards– This is my new passion and a set that I take great pride in. A worthy collectable for the fans of MWR, the set features the stars of the Midwest and around the world that we have all come to love or hate. 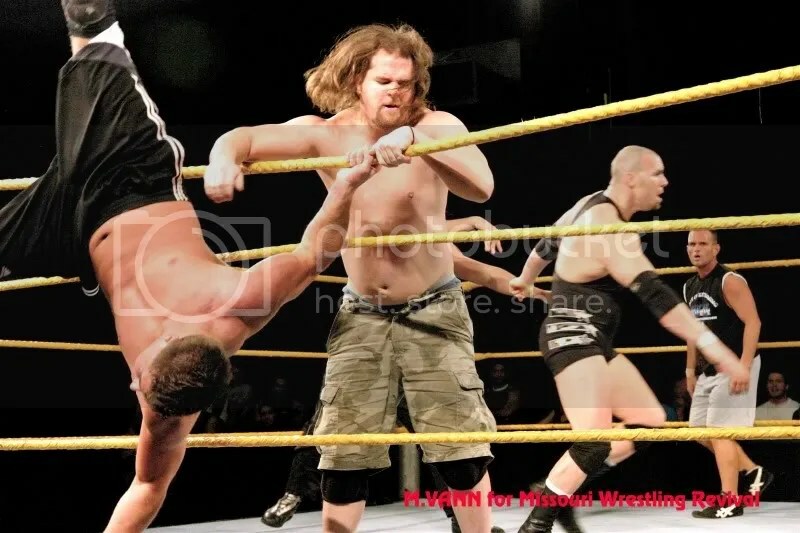 We started off with the MWR award winners for 2008 and 2009, card number one was the 2008 MWR Tag team of the year the Northstar Express Darin Corbin and Ryan Cruz with Pnut, the three who is awesome in promos looked just as good in a trading card. 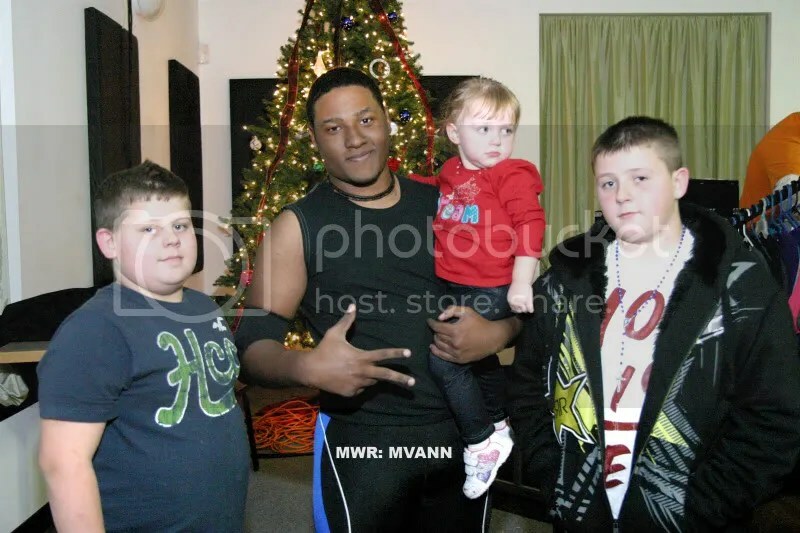 “The Future” Donovan Ruddick takes the time to pose with young fans that had purchased his MWR Trading Card prior to him autographing the collectable that fans have been clamoring for the past few months. 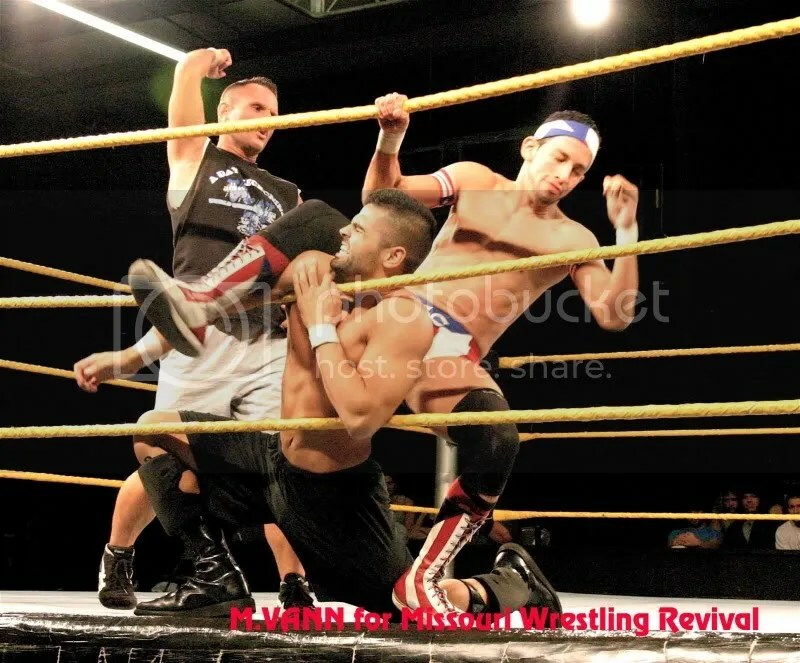 Since then we have added a who’s who of stars in the Midwest including three people that I am forever grateful who brought worldwide recognition to the set, site and other wrestlers of the series and they are international stars MsChif, Davey Richards and Ring of Honor World Champion Tyler Black. A big thank you goes out to Alyssa Major for her amazing talent on these cards. As of press time we have announced Nineteen trading cards and each and every individual brings their own flair and worth to your collection. 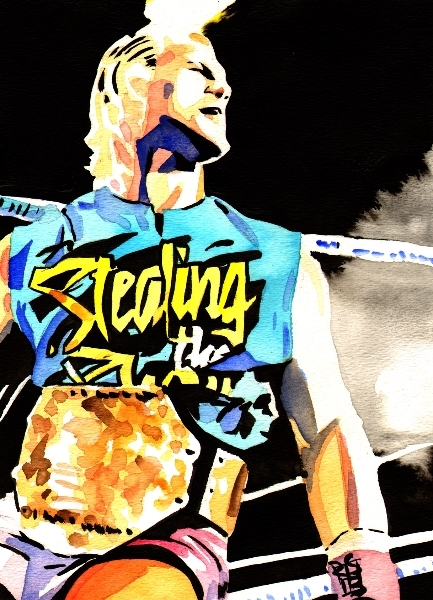 Look for many other superstars of the ring to grace their presence in the set. In fact I am so excited to name them that I need to stop writing about it. For a look at these card check out our checklist at the number one site for wrestling trading cards Wrestlingtradingcards.com here. I am blessed to be able to have some of the great photographers in the Midwest at MWR that allow us to use their work and expensive equipment for the site. 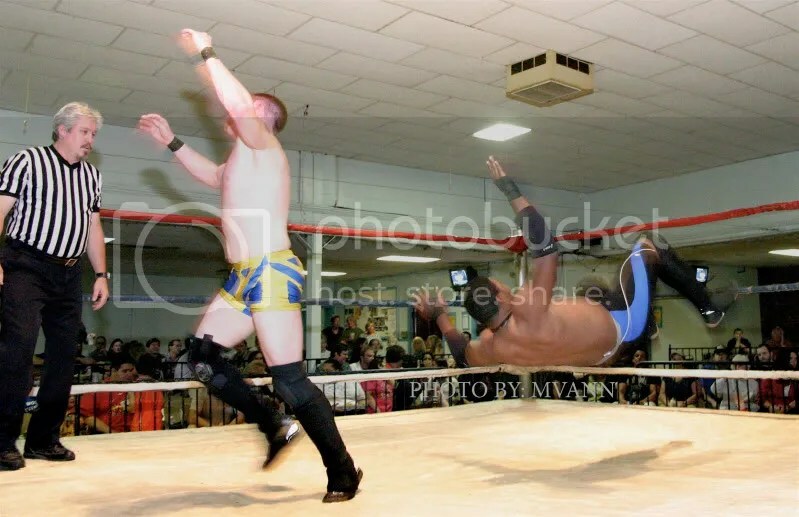 A very underrated aspect to the scene is a photographer, these hard working professionals are able to capture that moment when your favorite wrestler goes for that high risk move, or the final moment when a wrestler wins the championship. With pictures you capture history. Mike Van Hoogstraat, Gary Giaffoglione, Bill Smith and Scott Fieldstein are regulars with MWR who donate the pictures for you the fans to enjoy. I love all of these guys for their contribution and friendship. 15) Absolute Wrestling Radio: Amazingly when I wrote this article for 1,000 post I had somehow forgotten to recognize the AWR family. It’s not that they were not worthy or I hadn’t thought of them its just that I thought I had them done. Make no mistake about it that AWR was very crucial to MWR inception to the wrestling world. Based out of St Louis AWR has been a place where fans can listen and call in to talk about the WWE, TNA , local wrestling and MMA. Mark Bland Matt Kreuger and Andy Echle have been a lot of fun throughout the time that I have known them and have created some of the most memorable moments in MWR history. They have always done a wonderful job getting the word of MWR out to the masses. We look forward to all of your hard wok and friendship. In the past two and half years MWR has covered and worked with each of these promotions in one form or another. I don’t want to thank anyone in particular because of the fear of forgetting anyone. Once again there are many great people that are in each of these promotions who have made a positive impact for the MWR site. I hope that you check out these promotions live in the very near future. Thank you MWR Fans and we hope to celebrate 1,500 soon. Till then look for all the exciting developments and happenings in the world of Pro Wrestling in the near future at MWR. My good friend Josh Ray and I spoke recently about the celebration of the MWR 1,000 POST. He stated that he had an article he would like to share with you so we started MWR post 1 with Josh Ray so it is only fitting that we end 1,000 with my good friend Josh. 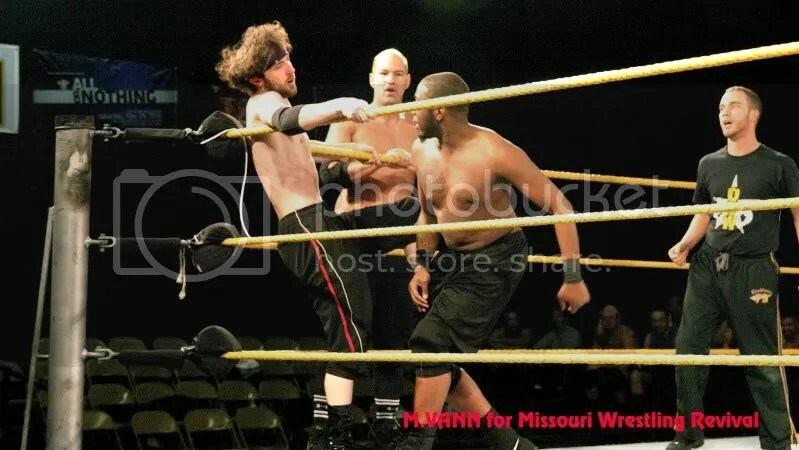 Even though I left Missouri Wrestling Revival in the talented hands of Brian Kelley and Kari Williams a year ago to pursue other pro wrestling opportunities, as founder of this website/community I am extremely attached to any of MWR‘s successes and failures. It doesn’t matter whether the ideas came from my own mind or the mind of a friend, because once it is implemented by the site, it becomes part of the family. 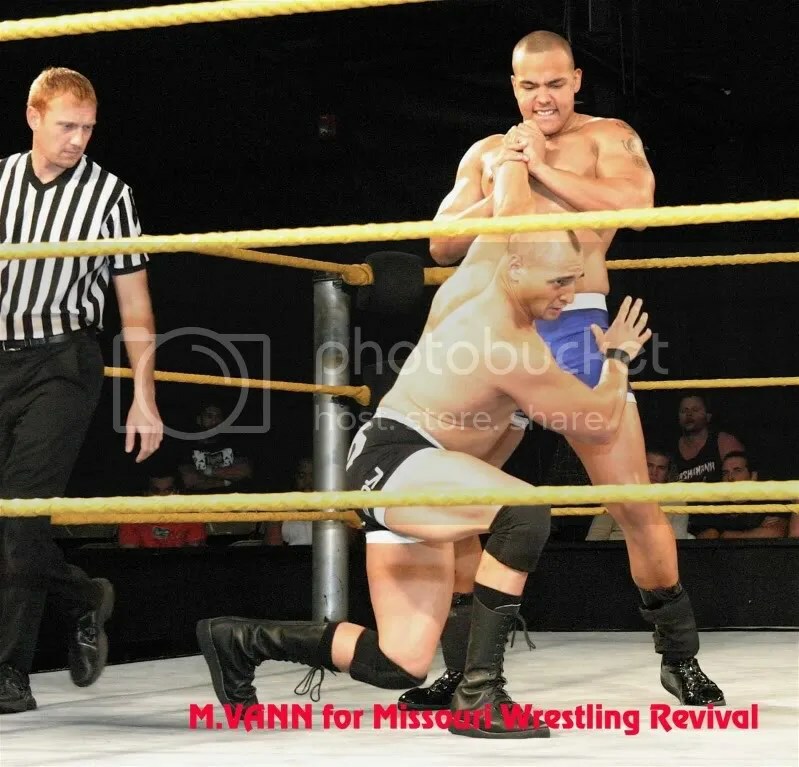 As family, career, and life in general have siphoned time from one of my passions, most of my Midwest pro wrestling knowledge comes in spurts from MWR. It is a great site that has helped in more ways than it will ever get credit for, and that is due to a combined effort from contributors to MWR, promoters, wrestlers, behind-the-scenes staff, and of course fans! When Brian and I chatted last week and he informed me that the 1000th post was fast approaching, I wanted to get involved. A lot is said of a wrestler’s desire and love of the business. Sometimes paid in hot dogs and other time not paid at all, these men and women travel at great physical, emotional, and financial expense because they love to entertain and they strive to improve. Unfortunately, there are other pieces of this puzzle that often go overlooked. These overlooked pieces are evident in those train wrecks that inevitably occur. Great wrestlers can make a great match, but those that work in supporting roles (the overlooked pieces I am referring to) are what make an entire event a success. In fact, those working in these supporting roles can make or break everything from the attendance to the safety at the show. Those in these supporting roles include the promoter himself/herself, the booker, the referee, ring announcer, managers/valets, sound man/woman, camera crew, photographer, security, bloggers/journalists, and other volunteers. These men and women are no less a part of the wrestling business than the wrestlers themselves, but they often do what they do with little or no fanfare. There is no World Wrestling Entertainment developmental program for most of these roles, and many serving in these capacities are expected to do the work for free to pay their dues and to be a part of the show. This is really gonna sound strange to you guys, but there’s a whole lot of people in those big ‘ol trucks out back, there are these guys here holding the camera, Michael Cole, Jerry Lawler, and of course the greatest announcer of all time Jim Ross… but I want to thank all you guys. You guys always made me look better than I ever really was and I so appreciate that. 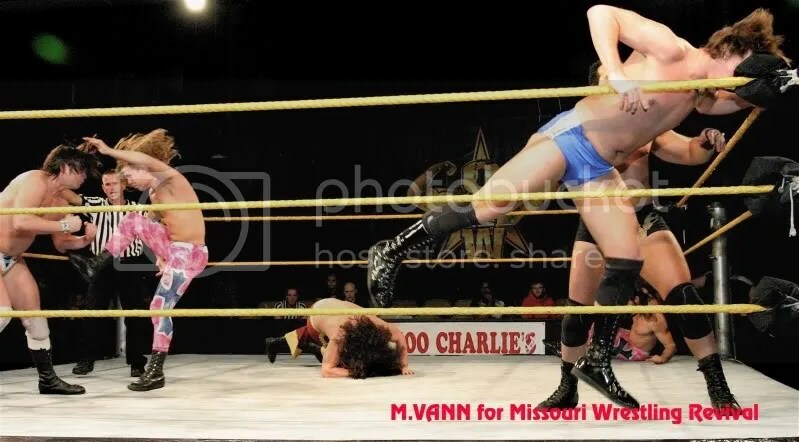 I want to follow in those great footsteps in this, the 1000th post on Missouri Wrestling Revival, by naming my own MWR “Supporting Roles” All-Star Team. This is by no means definitive and is solely based on my opinion with some input from trusted friends. I have talked with Matt numerous times and know his credentials. 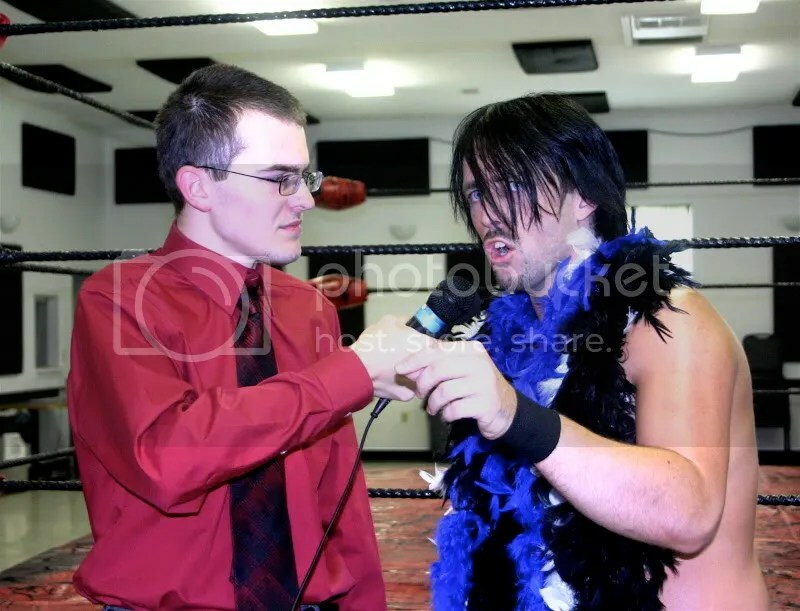 This would be the guy to go to in order to get the matches lined up… and the first guy I would talk to to straighten out any backstage issues. Both men work hard and want to continue learning. You’d be hard pressed to find two more competent officials to ref a show. 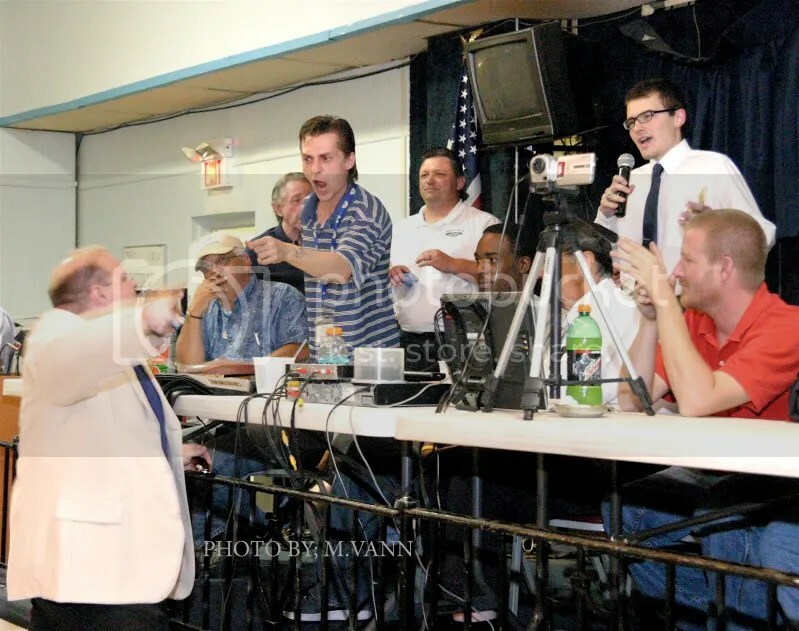 The man with the green socks has a great voice for ring announcing and is one of the nicest men you’ll meet in and out of the ring. He no longer operates in the area, but is worth the money to bring in. This guy shoots and edits wrestling video on a regular basis and continues to improve. 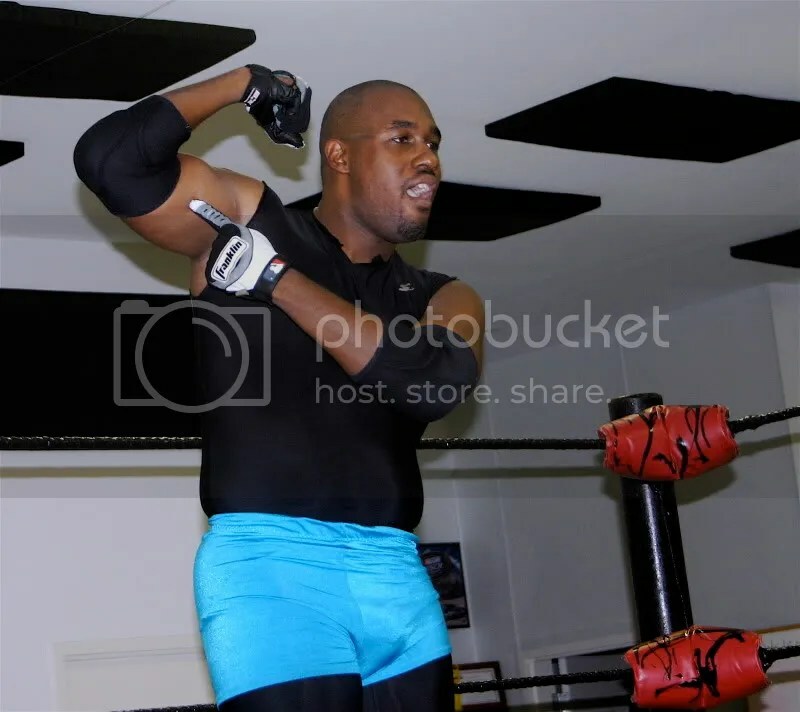 Watch 3XW’s Outside the Ring on Youtube to see the progression of his video work. 3XW’s video team under the guidance of Skylar Pierce is my logical choice, with Jenny getting the by name selection, but without excluding the video talents of Sean Wilkerson. These guys keep the 3XW machine moving in the right direction by continuing their line of DVDs and providing footage for the 3XW web show Outside the Ring. 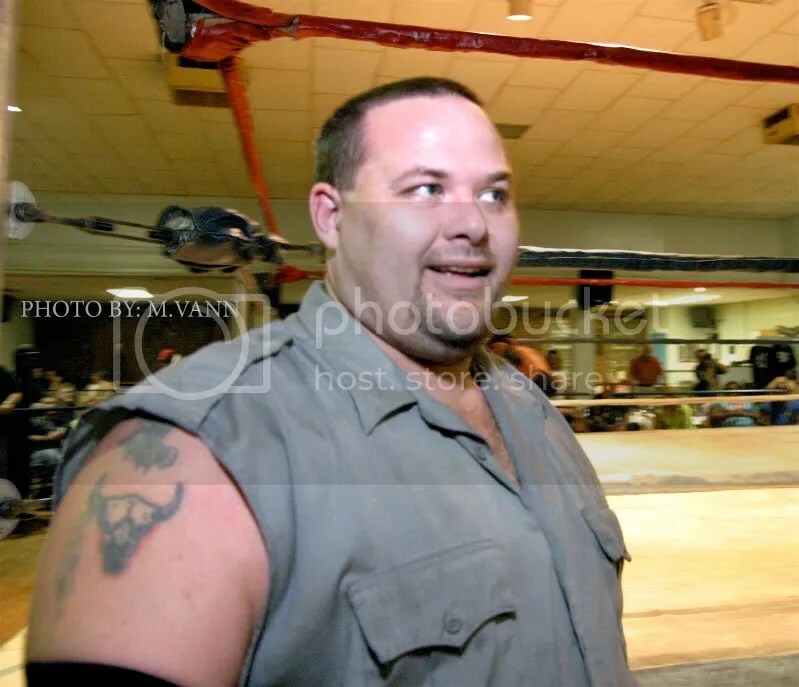 When I put together the MWR show for November 2009, “Bubba” was my first choice for security. Very professional in a security capacity and anyone that says otherwise has probably deserved being removed from a show. Many of the great Midwest wrestler photos from backstage that you see on this site and across the Internet come from this man! You feel right there in the middle of the action when Gary is at the helm. I extended the offer to Magic Man a long time ago… whenever I have a video camera he is always welcome to jump in front of it. Quite honestly, I mark for very few things in this world… but I mark for Chad Mylan. I am a Mylanite. A genuinely nice guy with a love for professional wrestling that many do not come close to matching. Chuck is the guy you’d want to work with on any marketing plan or budget. The resident workhorse at MWR has a career beyond this site that is right around the corner. I am very proud to have met her and often go to her for writing advice. 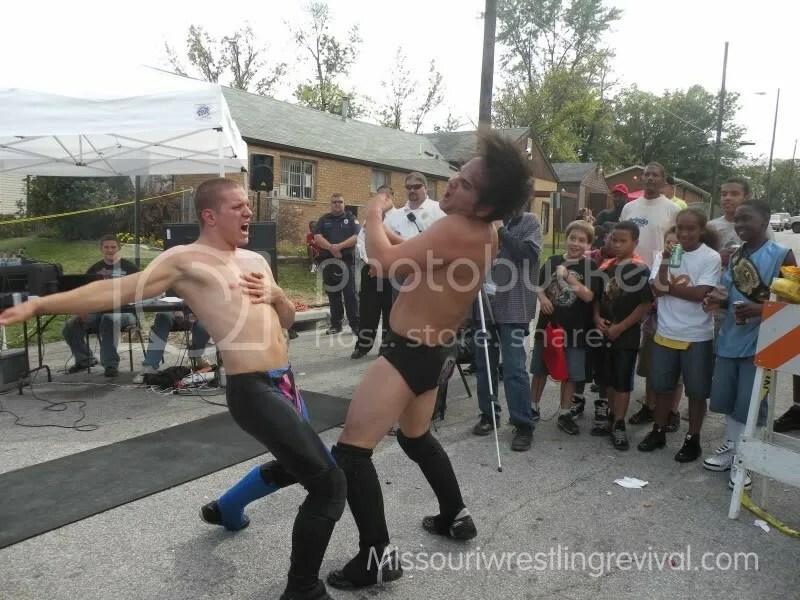 That is all I have for this, the 1000th post on Missouri Wrestling Revival. Remember, if its worth supporting then support it. If not then run the other way and something better will eventually come along! MMWA-SICW Open Door tryouts rundown from Patrick Brandmeyer with photos from Mike Van Hoogstraat. 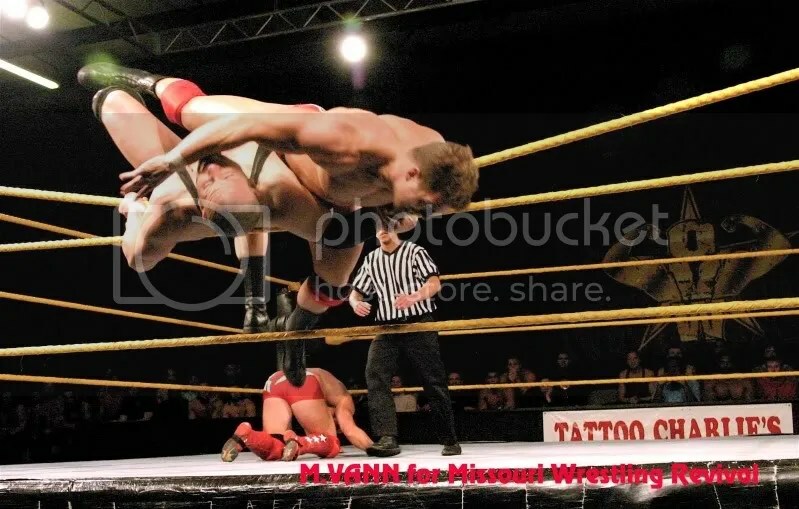 Editors Note: Last week MMWA-SICW open their doors literly to all aspiring wrestlers to have the chance to work with the 2009 MWR Promotion of the Year. 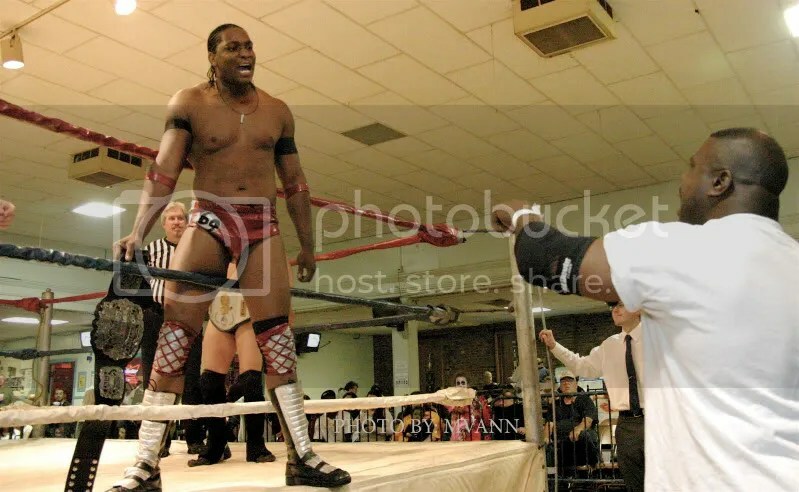 MMWA-SICW has five shows in the works for September and in 2010 fans have had the pleasure to see Donovan Ruddick, Brandon Espinosa, Ace Hawkins, Mark Sterling and most recently Mephisto make their way to the promotion. I am sad to say that I was unable to attend due to prior commitments but I knew that MWR fans would have a great look into the happenings of this historic event thanks to Pro Wrestling expert Patrick Brandmeyer being able to attend as well as MWR Photographer Mike Van Hoogstraat. I now give you Patrick and Mike with the rundown on the Open door tryouts. 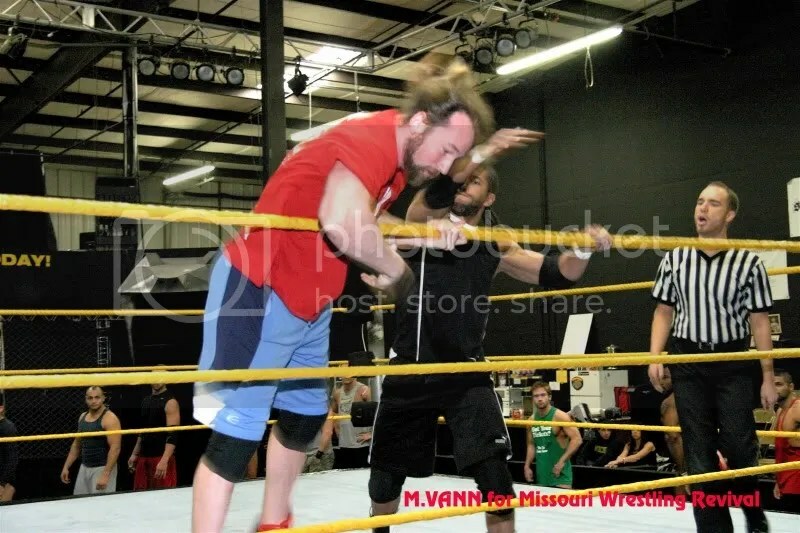 I’ve been fortunate to get fairly close to the local wrestling scene…case in point, being invited by Tim Miller to the MMWA-SICW tryout in East Carondelet this past Thursday. Saw several familiar faces in attendance as well as some Broadway trainees and some out-of-towners. 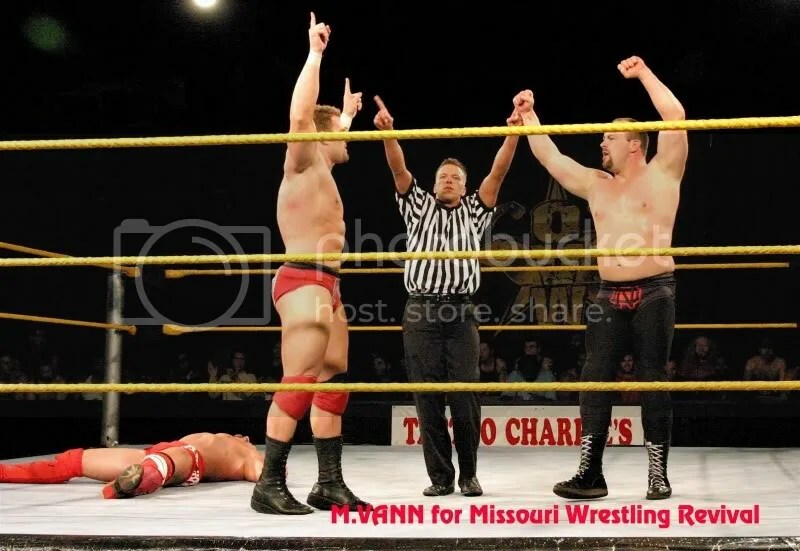 The main Broadway representatives were Tim himself, Keith Smith, and referee Jim Harris. They laid out what Broadway has to offer: Exposure in a great wrestling market in front of good audiences, as well as T.V. time(via their local-access program) and a decent payday. Broadway is stepping up their schedule in a major way in September, so the roster will be expanding in the near future…September has the usual shows at South Broadway and East Carondelet as well as their debut in Hillsdale, MO and a return to Fairmont City. The injured A.J. Williams was also in attendance as well as Ace Hawkins. 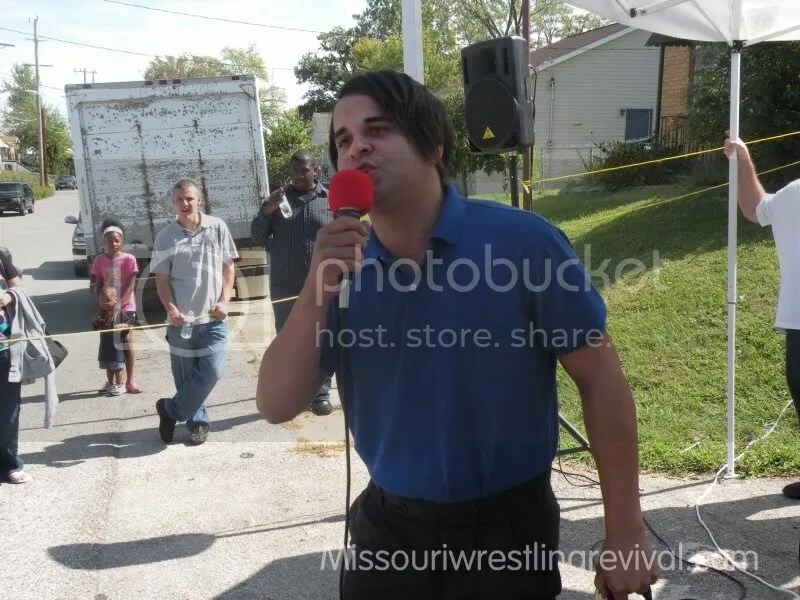 They had one interviewer/commentator tryout named Ben Simon who did a fine job and will apparently be at their East Carondelet show this weekend. Keith asked why I didn’t try out for that spot…and I didn’t really have a good answer for him. 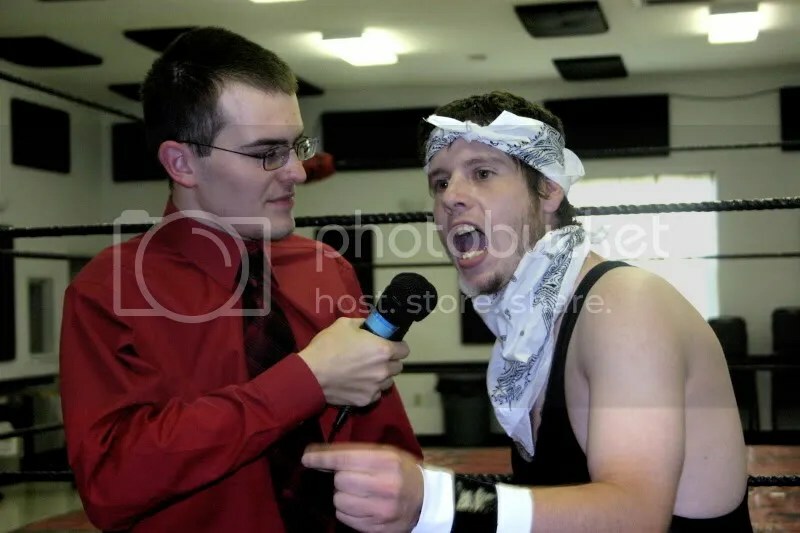 Haven’t gotten behind that particular microphone since the GCW days and wouldn’t mind doing it again sometime! 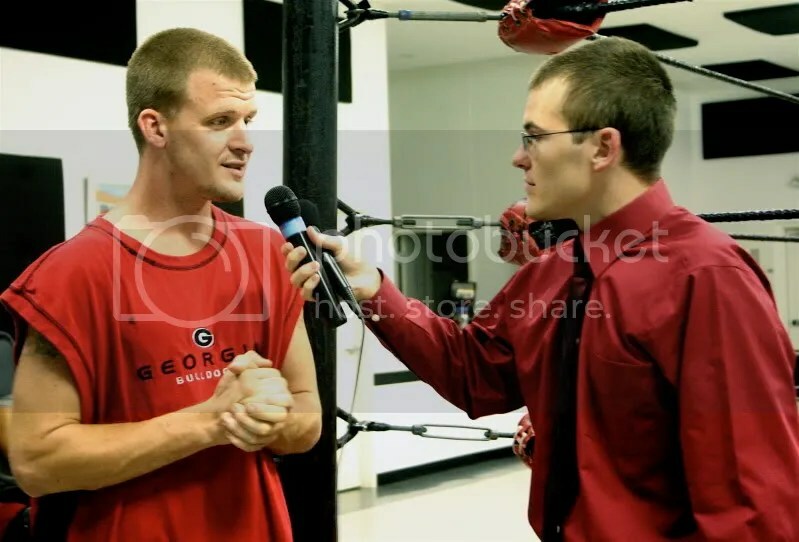 Those in attendance got a chance to prove themselves behind a microphone and also in the ring. 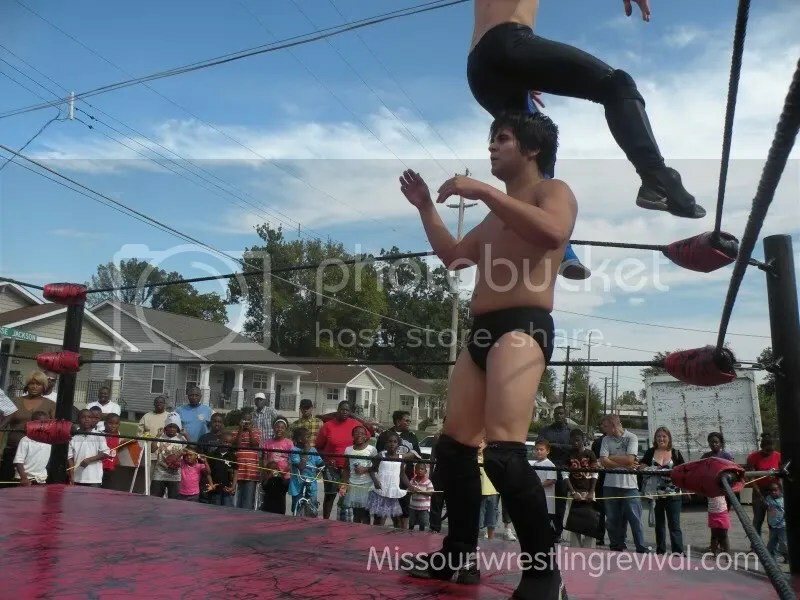 The trainees practiced in the ring with Johnny Courageous while those with more experience under their belt had full-fledged matches with the likes of Courageous, Brandon Espinosa, and Sean Vincent. 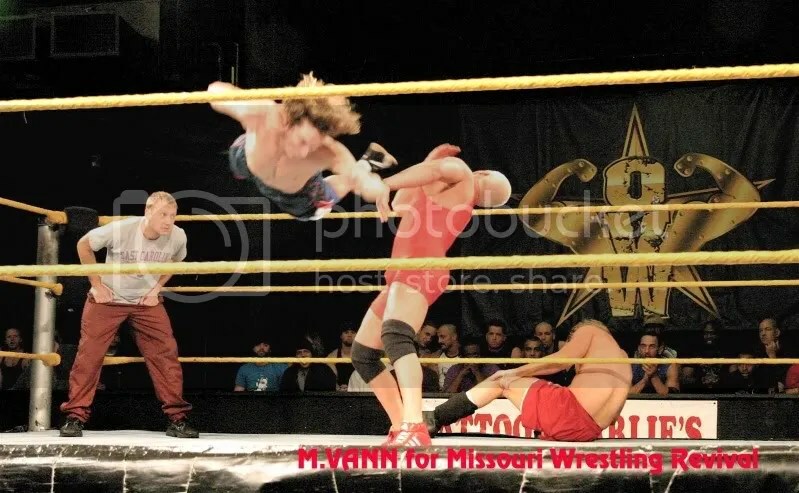 Was good to see former GCW competitor Ian Storm in the house as well as Springfield IL’s Blake Steel. Also saw a couple of guys who have flown under the local radar to some extent, Kurt Styles and Rick Stone. One of the more decorated local grapplers was in the house as Eric Allen sought to add another notch to his resume. A group from Jefferson City arrived later in the tryout…some did better than others. Espinosa was quick to let one of them know about an early mistake in their practice matchup. Critiques followed each matchup in the hopes that each wrestler would learn and work to improve. Vincent had a good short sprint with one of the Jeff City upstarts who went by “Bill Murray”(no relation). I’m always open to a learning experience and I feel like I’ve learned more in the past few years of wrestling viewing than at any other time in my nineteen(!) years of following the industry. 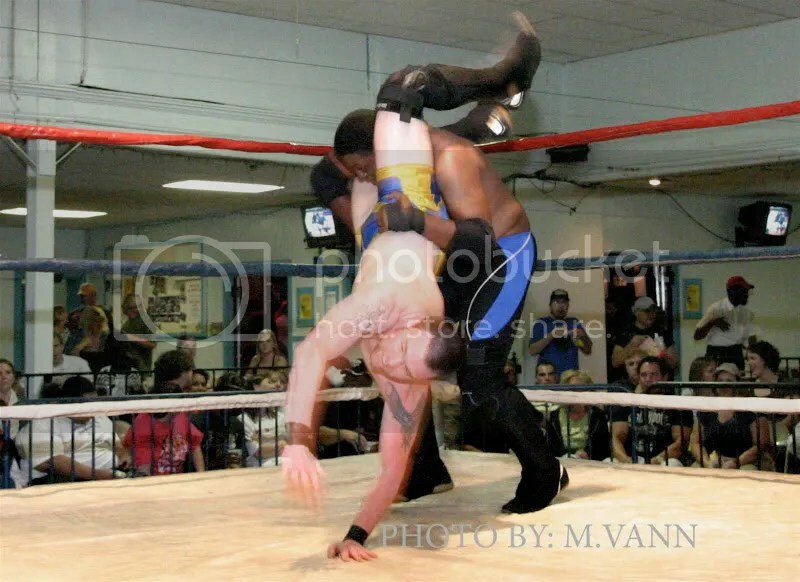 I have all the respect in the world for anyone who steps in a wrestling ring because I couldn’t do what they do. I don’t think lack of in-ring experience disqualifies a person completely from having an opinion about wrestling…though I suppose I would respect the opinion of a wrestler over a non-wrestler. 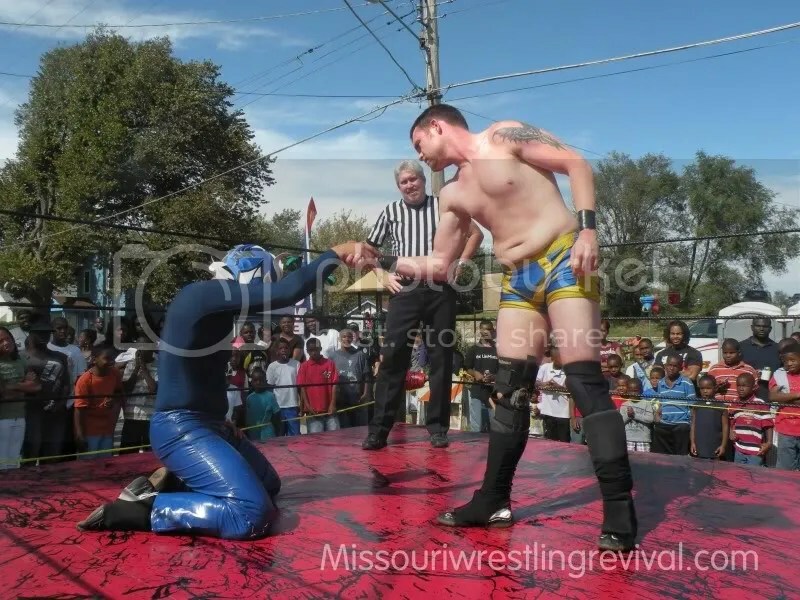 Look for recaps from both of the shows that MMWA-SICW had in August in the near future at MWR.